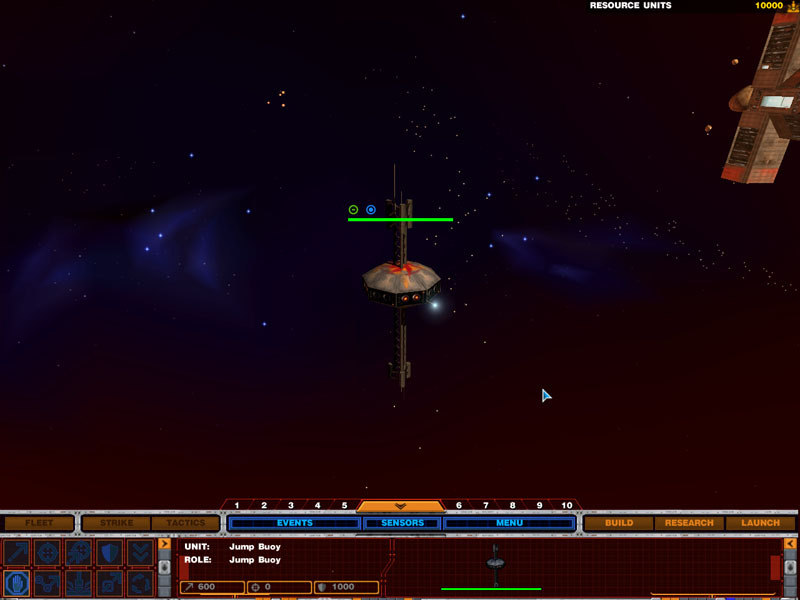 Several attempts to create fan mods for Nexus failed to hold their momentum earlier this year, but Exarch is attempting to get things back together with his project. 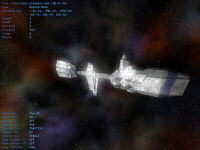 He's been working on integrating the Plunkett class heavy artillery cruiser and perfecting capship engine glow recently. The Hornet shot pictured below is actually Travis Baldree's model from earlier this month. Exarch stuck into Nexus for fun, and it ended up looking pretty neat. 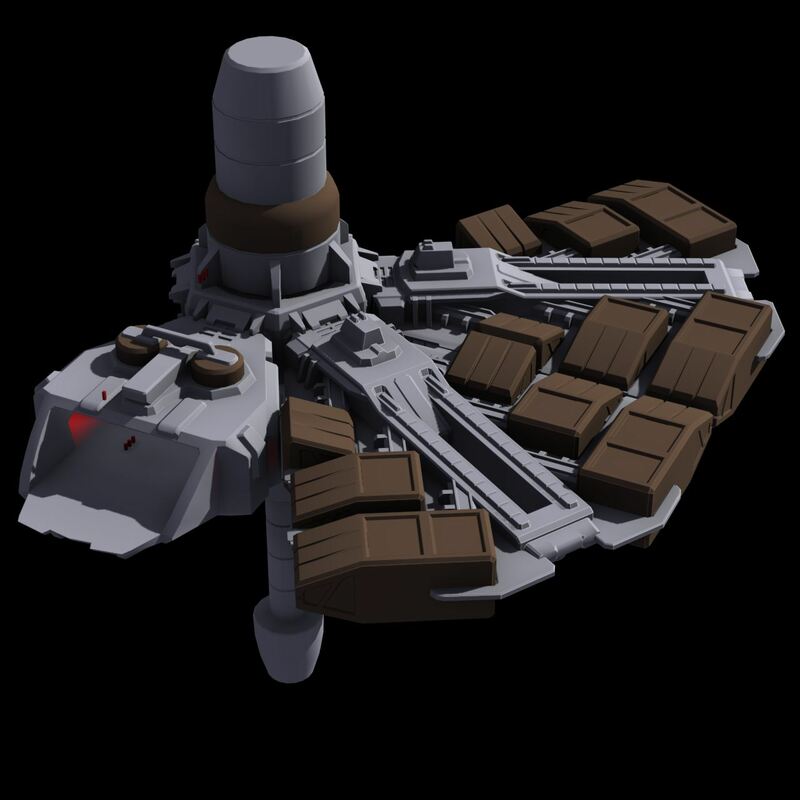 There's a possibility that a ship pack could be released prior to a full scale package. 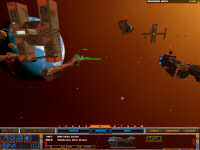 You can check our more images and help provide feedback at Crius.net here. As we expected, it appears that EA Replay was not released today. Unfortunately, Electronic Arts' official press site has not been changed to reflect a new date... so, for the time being we're going to go with the date currently listed at all major online stores. As such, the countdown timer has been changed to November 14th. 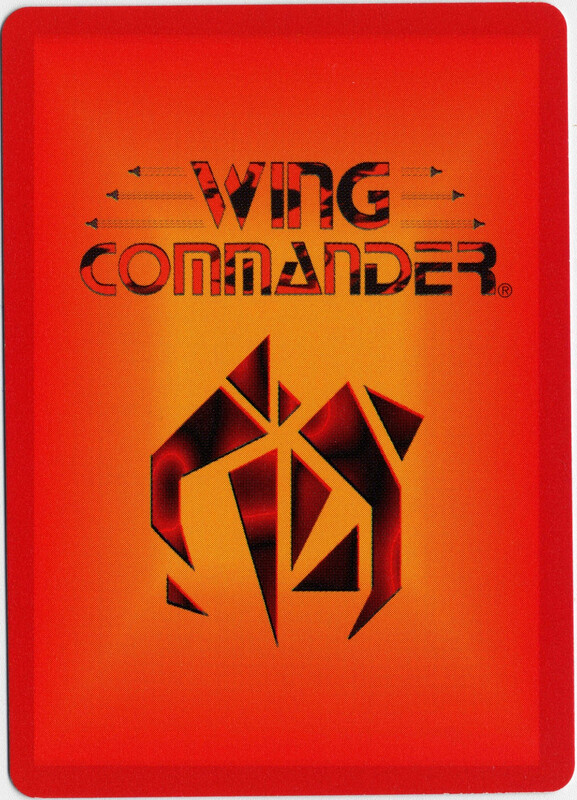 Don't let the lack of an official date change worry you -- we feel confident that we'll be playing handheld Wing Commander in two weeks! 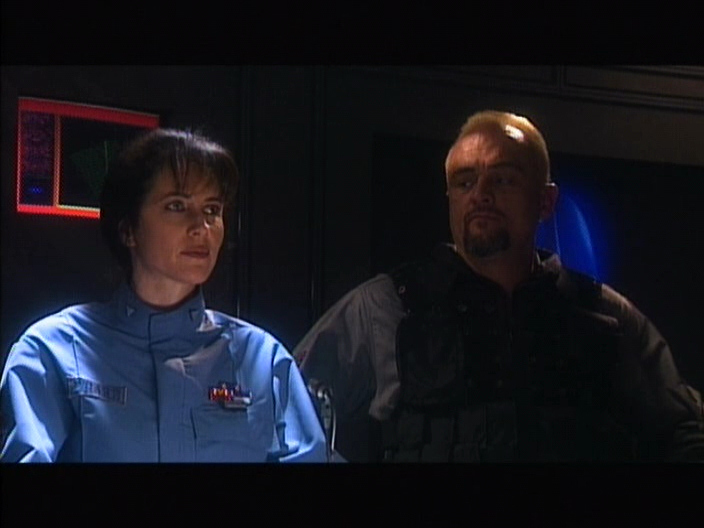 After enthusiastically kicking off a high definition Wing Commander run in January, it looks like HBO's near-constant broadcasts of the movie are about to wind down. The only upcoming air date is Wednesday, November 1 at 12:25 AM on the US East Coast and 3:25 AM on the West Coast. The move could only be temporary, and showings could resume next year, but another channel could have also picked up the option to show the film instead. 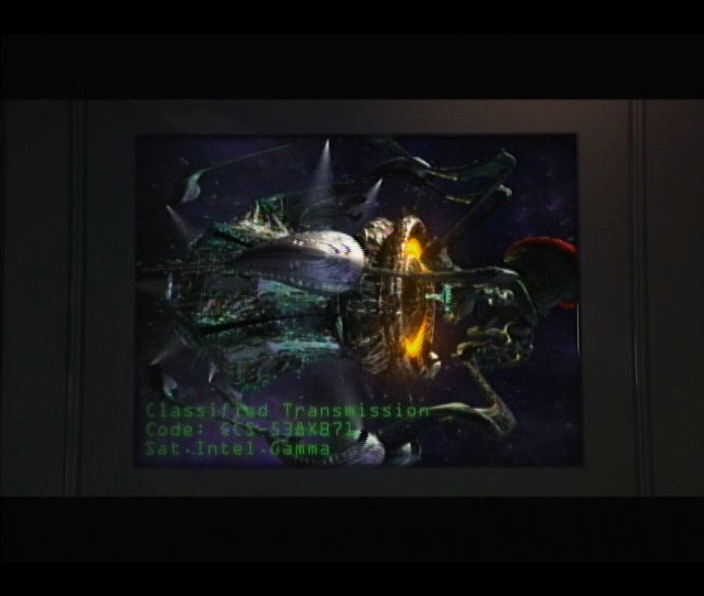 Between sporadic HBO HD broadcasts early on, the Sci-Fi Channel was the primary place to see the movie on TV in the US for a couple years. A third possibility could be that Fox is preparing for some sort of rerelease. The company has aligned itself with the Blu-ray high definition format, and its first movies for the platform are coming out next month to coincide with the launch of the PlayStation 3. No retail release of Wing Commander in high def has yet been announced however. With so many big things going on this month, we're about to set a new bandwidth record. You might have already downloaded Prophecy movies, Academy or Heart of the Tiger, but CIC Holovids is full of fancy clips for you to grab and add to our figures. 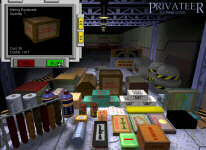 One of the biggest collections of videos in the section is for Privateer 2. 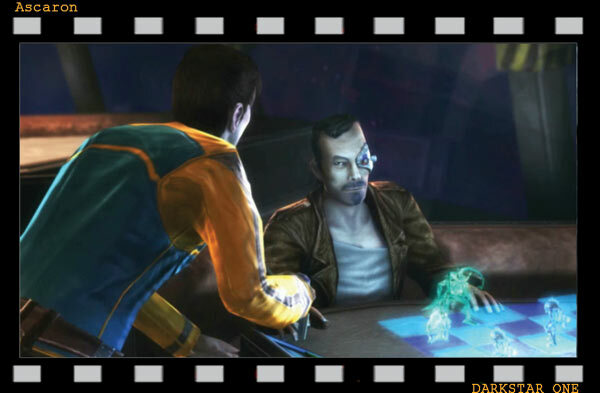 Most of the game's cinematics have been encoded in high quality and are available to grab now. There are also tons of behind-the-scenes clips, trailers, deleted scenes and music videos available too. You can check out the Holovids movie section here. Howard Day has built a variety of useful modules to stick on his WC Pioneer station. Fuel tanks, cargo containers, refining equipment and agricultural modules are visible in the shots below. Note the similarity between the cargo boxes and what you might find attached to a Drayman. 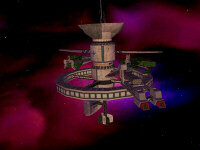 The plan is to show that smaller stations have fewer supplies by removing the boxes. 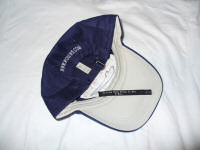 You can find more sample images and provide feedback at Crius.net here. I've gotten a good ways along on the Hydroponics module. The cool grain, flowers and grass are all done by a simple method of layering planes. Each plane layer has a speckle pattern on it, and when they're layered, they simulate thousands so stalks of wheat, or whatever. Anyhow - comments are absolutely welcome. McGruff recently came up with a crafty way to spice up his Wing Commander hat. The idea is that Confed probably outsources production of some items to neighbors like the Landreich. He was able to get some specialty clothing tags printed through a friend that read "Crafted With Pride In The F.R.L." Neato. 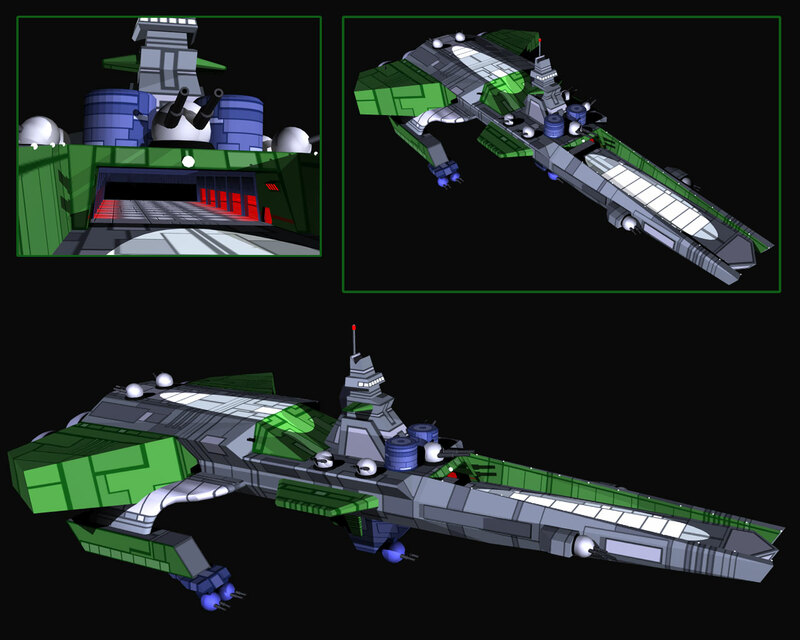 Here's another new fighter for the WC4 Homeworld 2 mod. 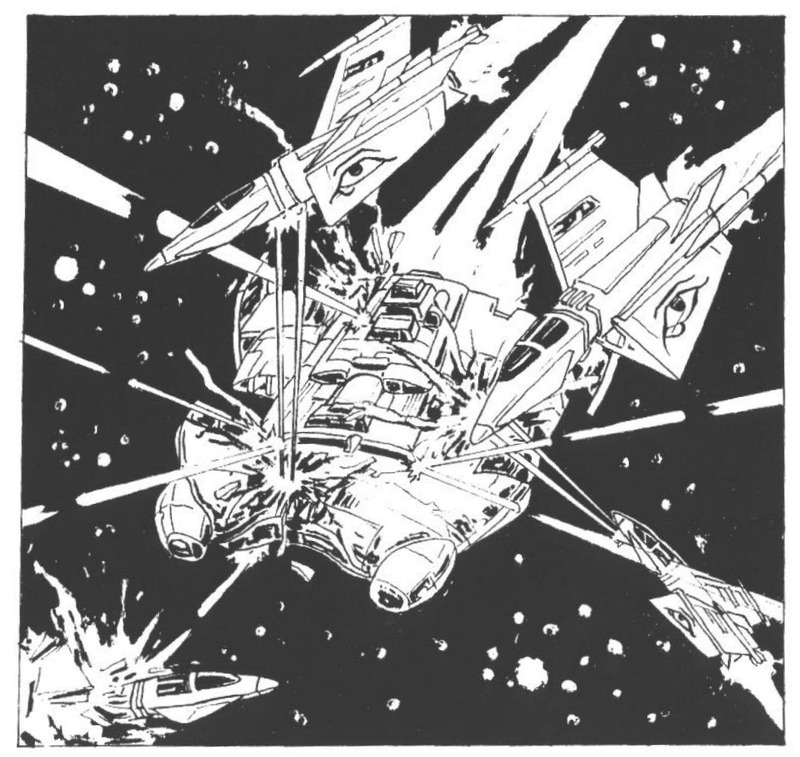 Black Lance players will be able to call on Razors flown by mercenaries when they need a quick and light force to stir up trouble. When more firepower is necessary, the mercs can take advantage of tougher Thunderbolts to get the job done. 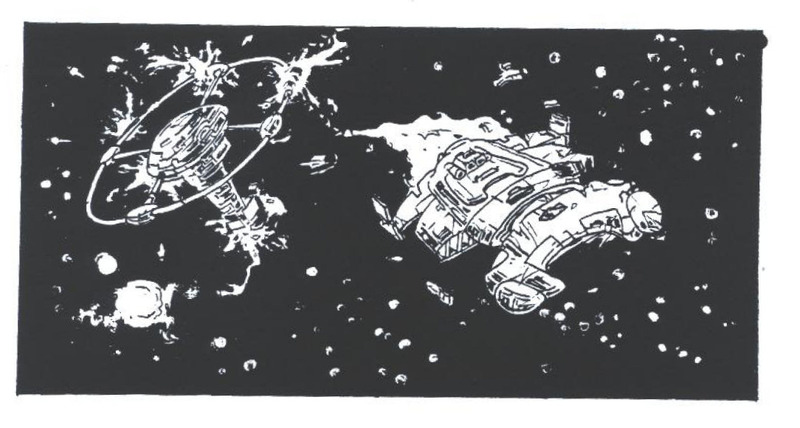 The BL relied on the pirates to aggravate the tension in space, so they'll have both pirate ships on their side. 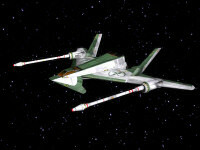 The cloaking Arrow is available after research. 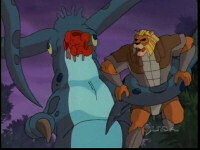 The same goes for the stolen Bearcat design and the ultimate Dragon. Our latest poll results indicate that quite a few people are behind in their game time. While you sleep, they'll be waiting. 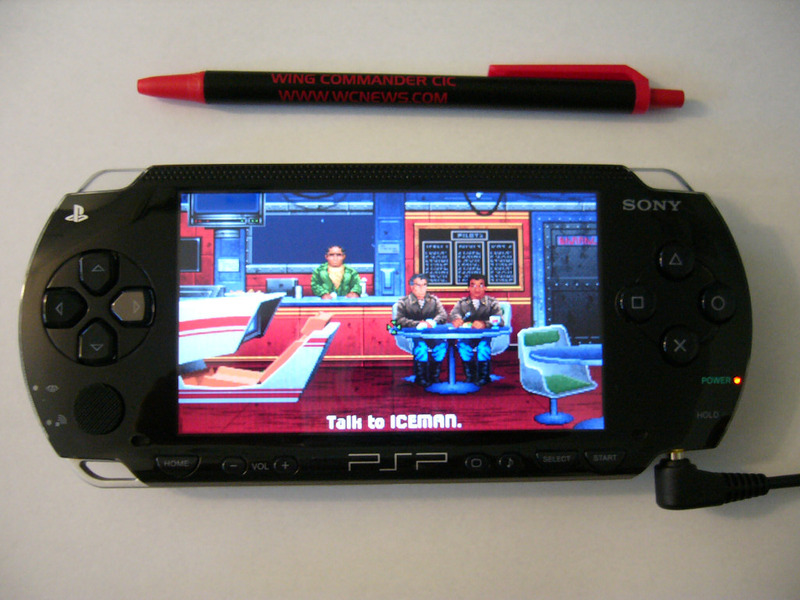 Maybe there's just a lot of people anxious for Wing Commander 1 on the PSP to get a replay of the entire series going. 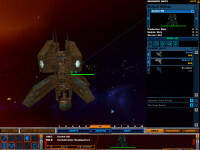 Don't forget that Prophecy owners can now play with high quality videos and both WCP and Armada can be played online. 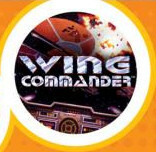 The next poll asks which television show makes you think of Wing Commander the most. A few prime candidates have been provided. This poll was originally suggested by Alex Hansen. 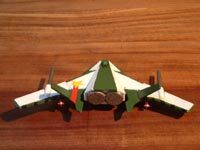 Marc has created another fantastic model of a classic Wing Commander capship. 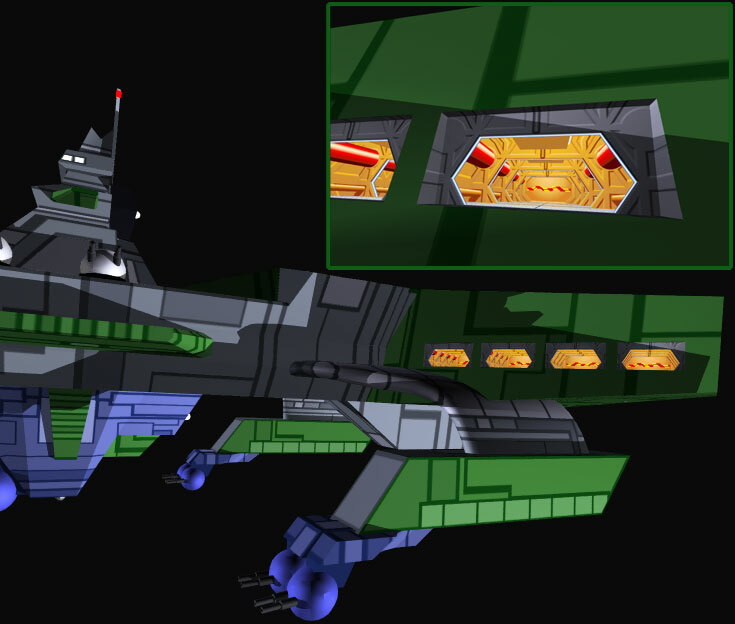 This time the design is a Bengal class strike carrier inspired by the Wing Commander in-game model, cinematic rendering, Claw Marks diagram, animated series rendition and more. 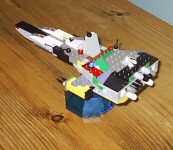 Marc has managed to retain the original charm while making the ship looks stylish and modern. 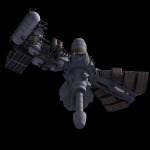 He primarily used the AC3D software to create the model, and it took over four months of effort to reach this point. The last two images below have been animated to show detailed areas of the ship. 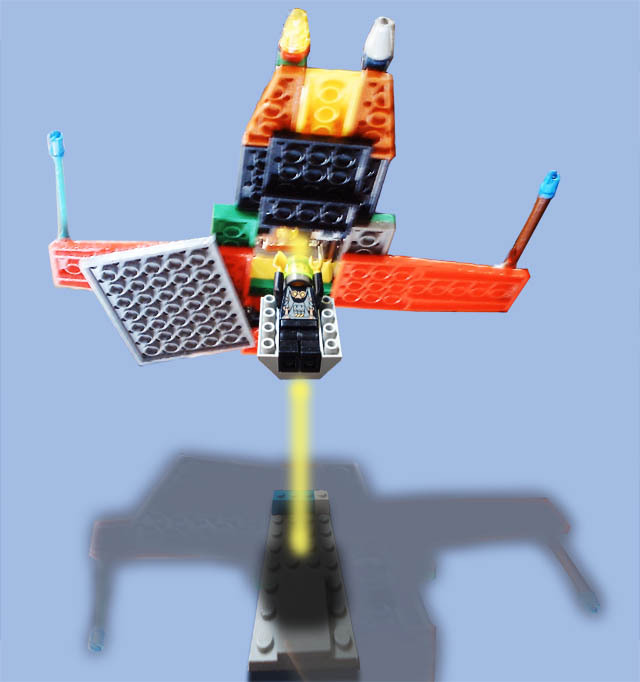 Check those out for a rotational view and launch sequence. You can provide feedback at Crius.net here. 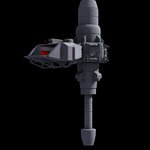 Marc has also built Perry, the Paradigm and Durango, WC3 ships, Fralthra textures, a flight deck, a flight control room and Waterloo. 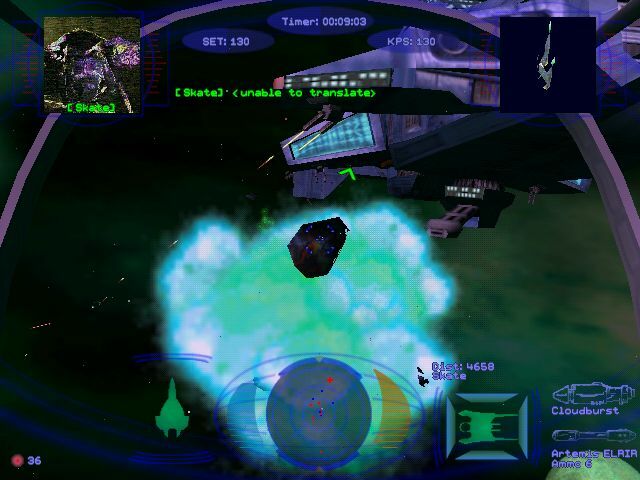 Electronic Arts has released twelve more screenshots from EA Replay, and... they're still not Wing Commander. 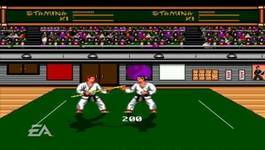 They're all from Budokan: The Martial Spirit, a popular fighting game originally released in 1989. 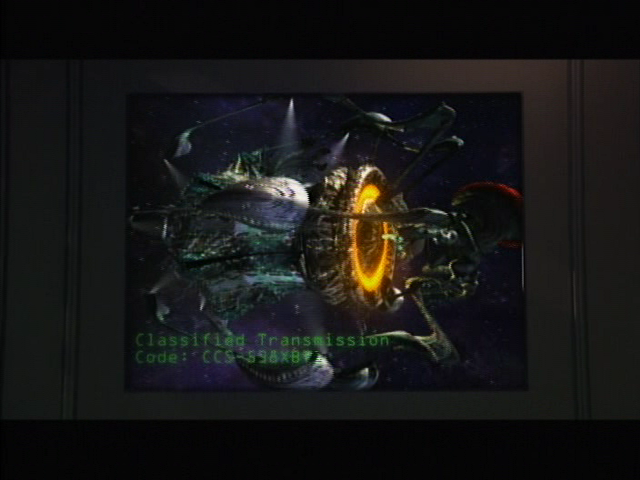 It will be one of the wireless multiplayer-enabled games included with collection. You can see all the screenshots here. They seem to be released in waves, so hopefully there will be a large chunk of Wing Commander shots in the near future. 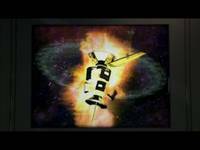 The Wing Commander series has given us some unforgettable cutscenes... and, occasionally, cutscenes some fans wish they could forget. 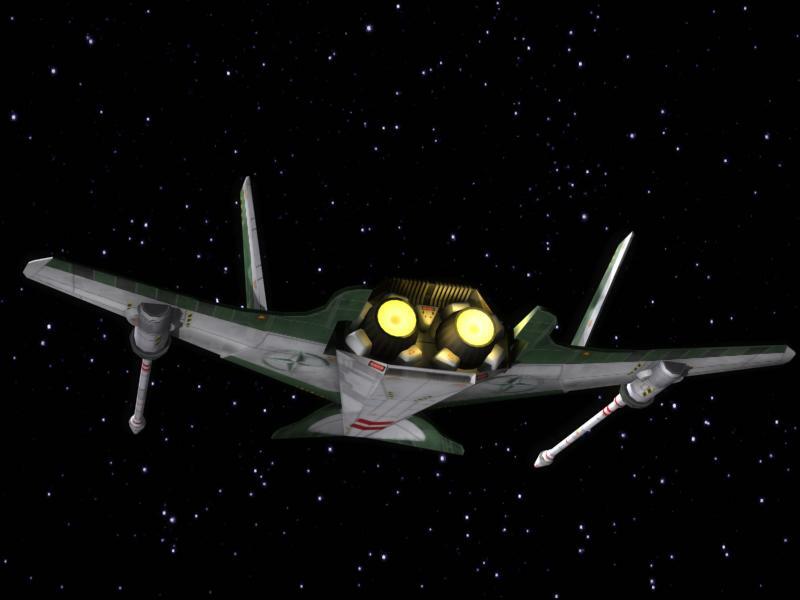 A case in point is the Super Wing Commander takeoff sequence, in which Armstrong is literally bolted into a heavy space suit and then elevated into his fighter. It seems strange compared to the rest of the series, but apparently it has influenced at least one person... in Japan! 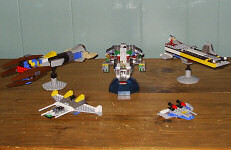 We stumbled across an unusual SWC scene created by A&K Lego Workshop -- based on the Super Wing Commander takeoff movie. Check it out! You can also download the original movie here. As part of its first birthday celebration, Turner Broadcasting's GameTap broadband entertainment and game subscription service has made a number of key announcements today. Most notably, the company has announced plans to enter the international market and GameTap also will be launching a new "GameTap Original" label. The company will begin its international business by launching in Canada today, where an estimated $765 million was spent by gamers on hardware, games and accessories last year. Importantly to GameTap, Canada also ranks fairly high in broadband adoption with 77 percent penetration, which puts the nation in eighth place globally. GameTap will be made available in Canada for $9.95 per month. Also, for a limited time (October 12-22), a full-year subscription can be purchased for US $59.40 in both Canada and the U.S. GameTap said that more English speaking countries will be added "followed by localized target markets throughout 2007." GameTap has previously announced that Wing Commander: Privateer will be available through the service in the future -- we'll let you know the minute it happens! Electronic Arts' United Kingdom press site has confirmed that EA Replay will be released in England! The game should be available in time for Christmas, with a planned December 8th release. Amazon UK currently lists the game as having an MSRP of £34.99 -- significantly higher than the $19.99 American release. The American version was also originally announced with a higher price point, so this may go down in the near future... but if it doesn't, shop accordingly -- PSP games are region-free. Meanwhile, the exact release date for the American version is still up in the air. 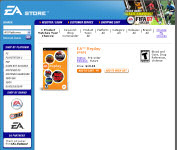 EA still lists an October 31st date at their press page, but all secondary sources now list November 14th. We'll let you know as soon as this is resolved. 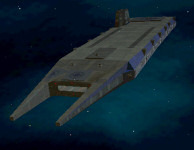 BradMick has posted early pictures of WC Pioneer's next ship. 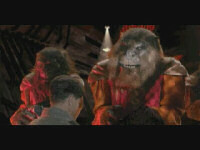 Don't recognize it? It's the Scarab, from "The Frontiersman: Interview With a Privateer," the story from the original Privateer's manual which introduces the player character. This story has always seemed somewhat unusual to fans, as it is eight solid pages of prose in the middle of a highly illustrated game manual. Some time ago, we learned that Origin had initially planned to illustrate the manual with Claw Marks style line art -- and we were able to restore these drawings in our Archive. 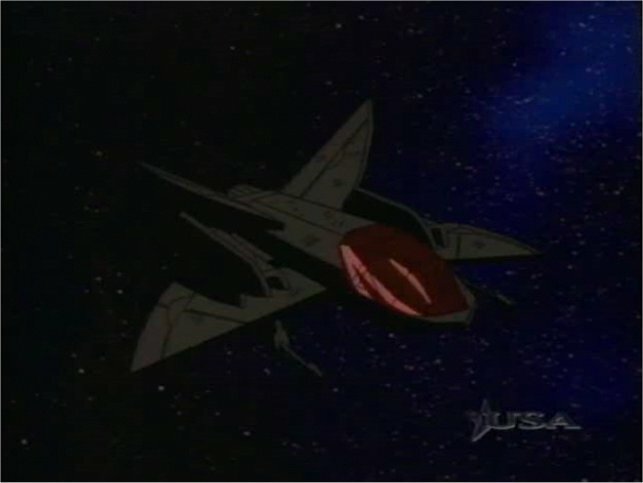 Since they specifically opted not to use this artwork (included below), this may not he the 'official' look of the Scarab... but it's a neat reference, nonetheless. 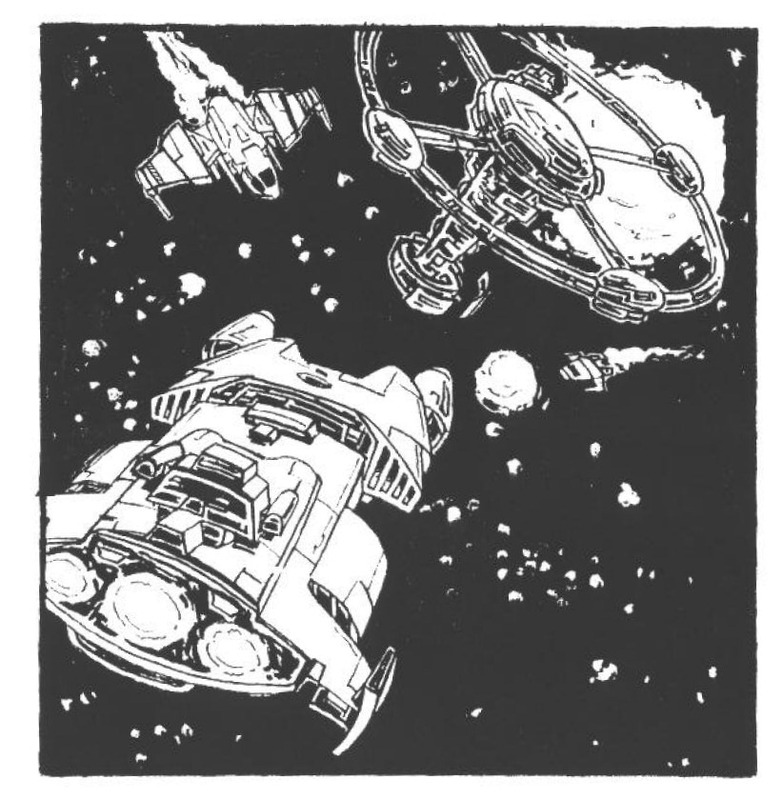 You can find the unused manual art here and the published manual (including the story) here. 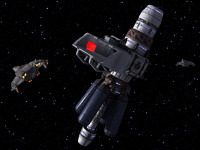 Nearly a thousand fans have downloaded at least one high resolution movie pack for Wing Commander Prophecy, and many have asked how they can integrate these videos into the actual game. 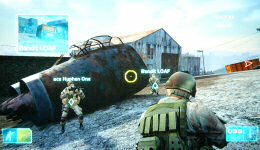 HCl has created another amazing patch to make this possible. Pack one (1.6 gigs), pack two (1 gig) and pack three (550 megs) are still available for those who need them. The game will search the movie directory first, and if it doesn't find a high res file, it'll default to the regular videos on CD. This means you don't have to download all 3 gigabytes of movies in order to play. If you encounter problems, try installing this mpeg decoder, switching to a different video mode or alternating subtitles on or off. This upgrade works great for most people, but a few may encounter glitches. Feedback is very helpful at this point. Enjoy the game! 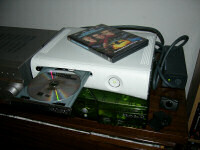 GameSpot is reporting on a new wave of downloadable content for Electronic Arts' Godfather for the XBox 360. The items available for purchase mark a first for the service: in-game money is now available to buy via the XBox Live Marketplace. For example, $100,000 in Godfather cash will cost 75 points or about $0.94. Similar to Tiger Woods cheats released last week, a variety of unlockable game content is also available for purchase, although much of it can be obtained for free with some time and effort. This has caused a small uproar online, but people continue to buy up game enhancement devices and cheat code books in stores for the same purpose. GameSpot recently conducted an interview with EA's vice president of online commerce to get the company's thoughts on future downloadables. To get a look at the different items available, a new Marketplace Website has also been created to highlight Electronic Arts' Live lineup. GameSpot: Can you explain the current mindset that EA Sports has going into downloadable content? Chip Lange: Sure. The mindset is we love it. We're all big fans of it. We're all huge users of the Marketplace and are excited about the type of creative offerings and opportunities it brings for us to be able to get new stuff to customers to keep the game experience fresh and exciting over the life of the product. So if there's a key message here, it's EA Sports and EA are embracing this whole method of distribution of content to customers. And the pipeline's starting to open up. Again Andy Westrate implemented another fully functional interface and this time for the Software Booth. The only missing feature so far is that the engine can't display 'pressed buttons', but we hope to see that working sometime soon. 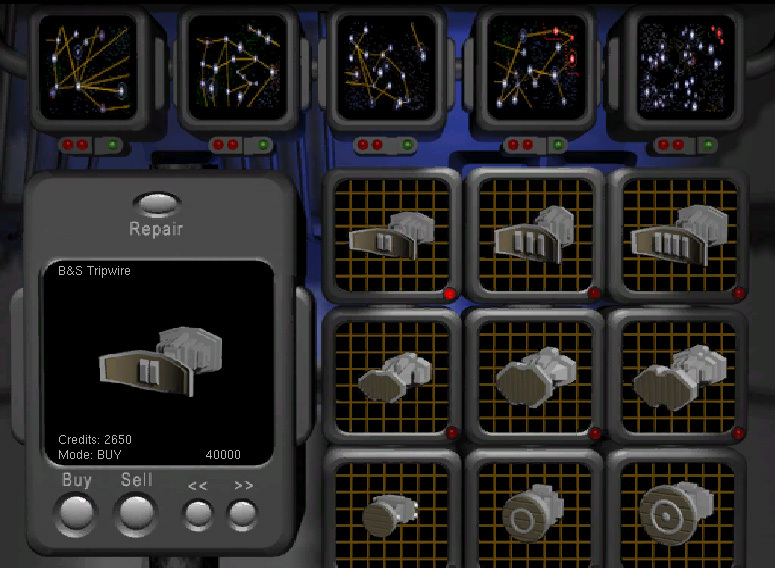 As you can see, the radar pictures are all redone in high res, but the starmaps are still missing! Help wanted! Jetlag just got Mario Kart for the Nintendo DS. 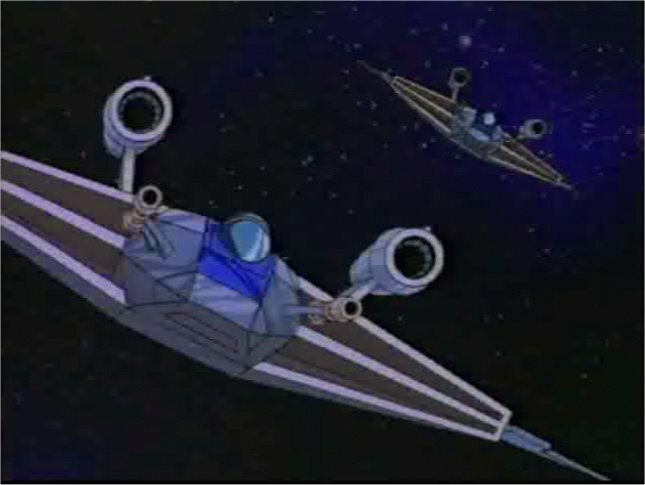 Like a good Wing Commander fan, the first thing he did was to pimp his ride with a Kilrathi emblem (right). The stylish crest of the Kiranka clan featured prominently on the back of the Kilrathi ccg cards that Jetlag completely scanned a while back. 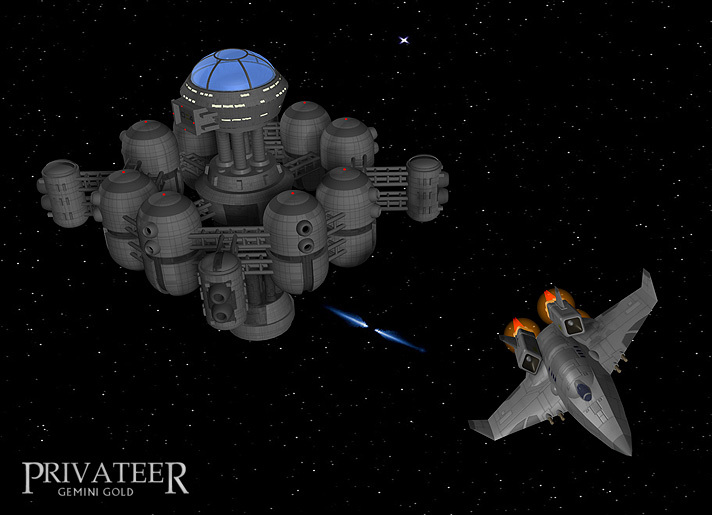 Also pictured below is room from Privateer 3 and a Homeworld 2 badge featuring the image. 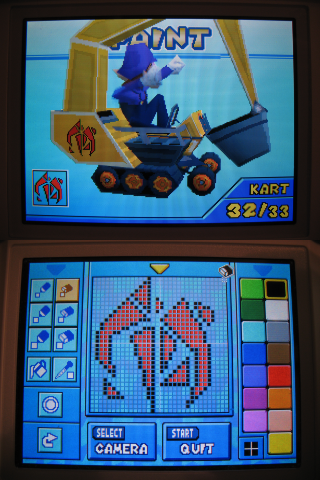 <jetlag> Did you see my Mario Kart emblem? It totally makes me go faster. 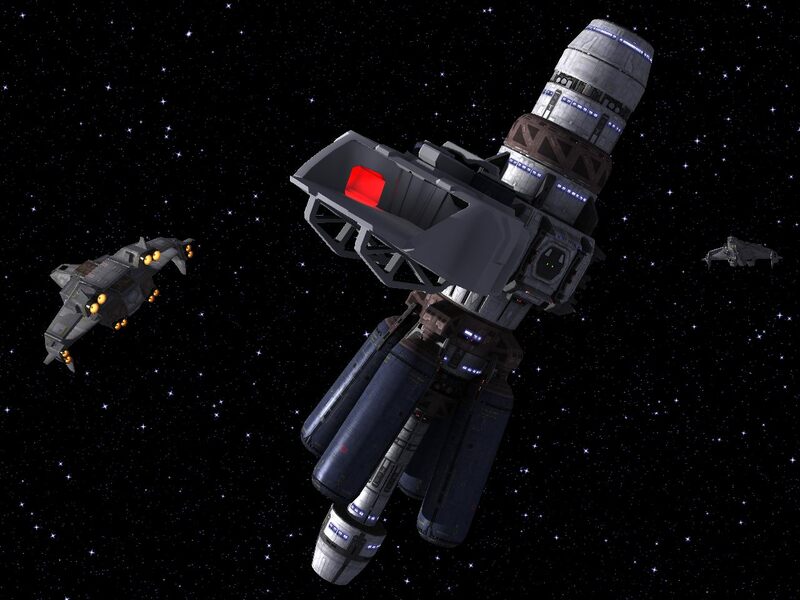 Tolwyn reports that after a number of crash sessions over the last few weeks, the WC Saga mod has finished recording the voice acting that they have planned. They've released this 150 k wav sample to give people an idea of what to expect. At this point, we're trying to iron out the last few design wrinkles that have reared their heads in the last few weeks. Yesterday we got last bits of the voice over work done, and it has turned out very well. The experience was amazing - as were the actors. This was my first time working with actors like this, and I think I got extremely lucky to work with such an incredible group. 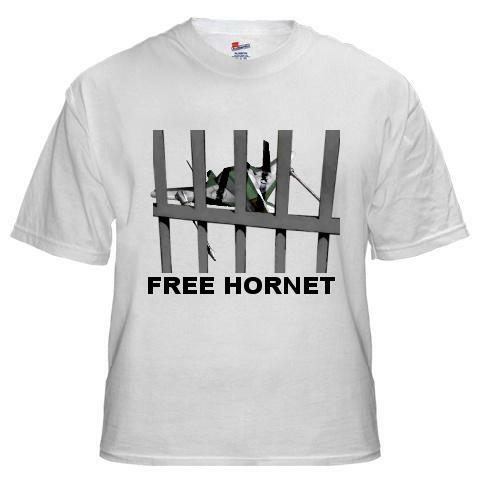 Jetlag has mocked up a special shirt design to further promote Travis Baldree's Free Hornet. You can read all about the state of Hornets in the Wing Commander community in yesterday's news, or download the newest model here. 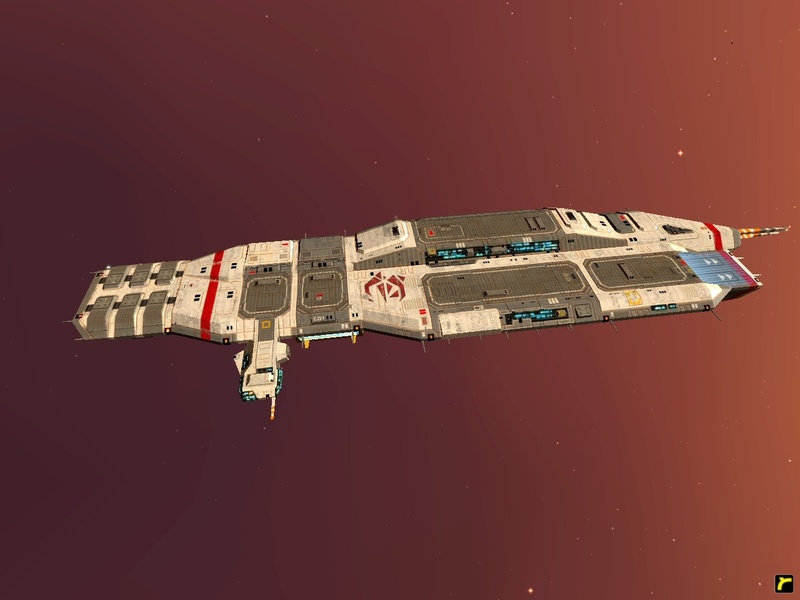 Free Hornet! 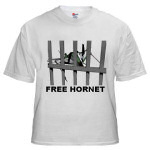 <jetlag> I made a FREE HORNET T-shirt. 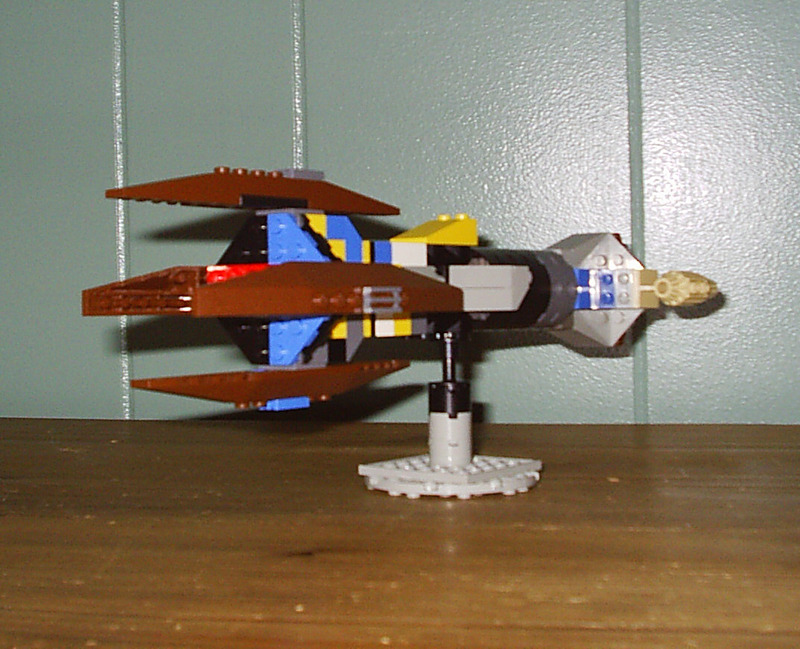 Travis Baldree, inspired by Howard Day's impressive design, has been working hard on a Hornet model of his own. The final result looks very nice. Although there are some similarities with Howie's ship, elements such as textures were actually made from scratch for this version. 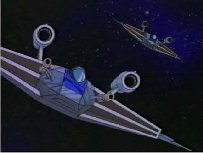 If you're involved with something that could use a solid old light fighter, Travis has made his craft available here (2.1 megs). Anyway, it's about 2800 polys and includes diffuse, specular, illumination, and bump maps. This should be game suitable and easily integrated into an existing mod project, and you are free to do so if you like, no strings. 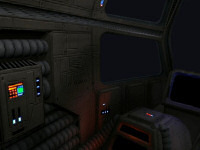 I've packed up a version with the textures, as well as a MAX7 mesh and a 3DS for anybody without MAX. 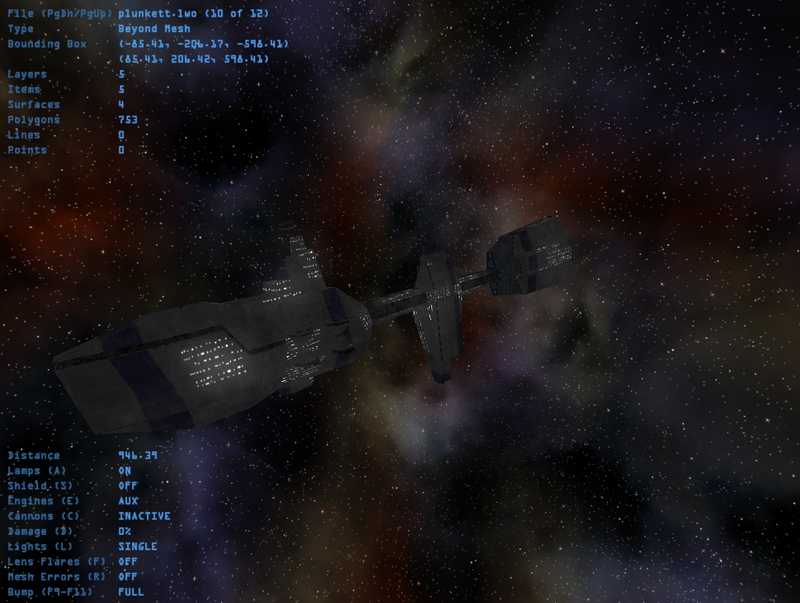 Apologies for any shoddiness - I'm not the finest modeler/texturer, more of a code-monkey. Feel free to use this in whatever you want - hope you have fun with it! There's something about the Hornet that keeps drawing people back. Maybe it has to do with it being the first craft that many of us flew in the original Wing Commander. 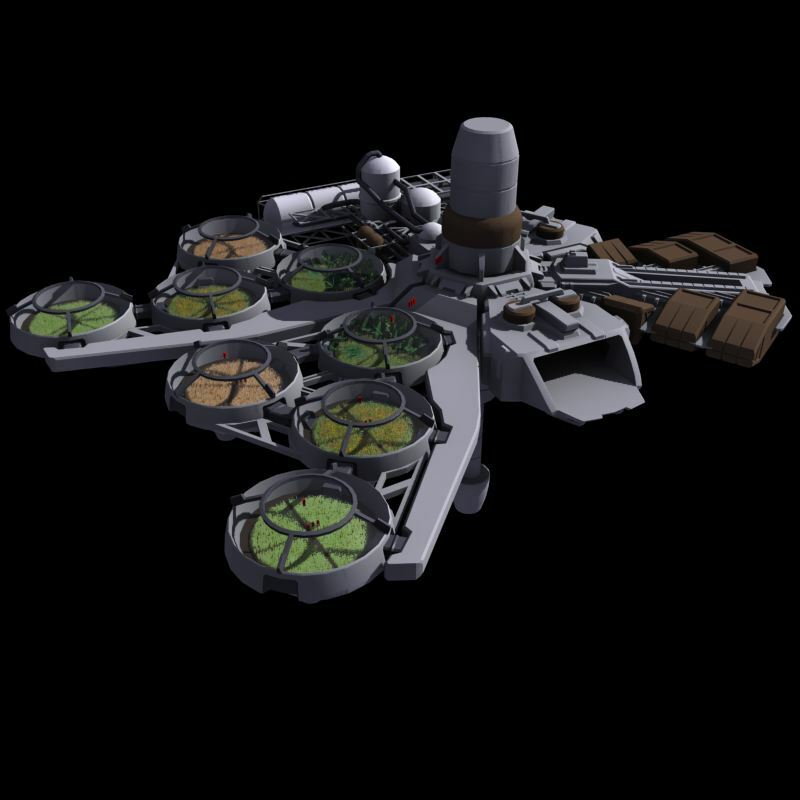 Previously we posted high res scans of the WC1 Blueprints for those that could use another detailed look at them. Howie's classic model is also available here. 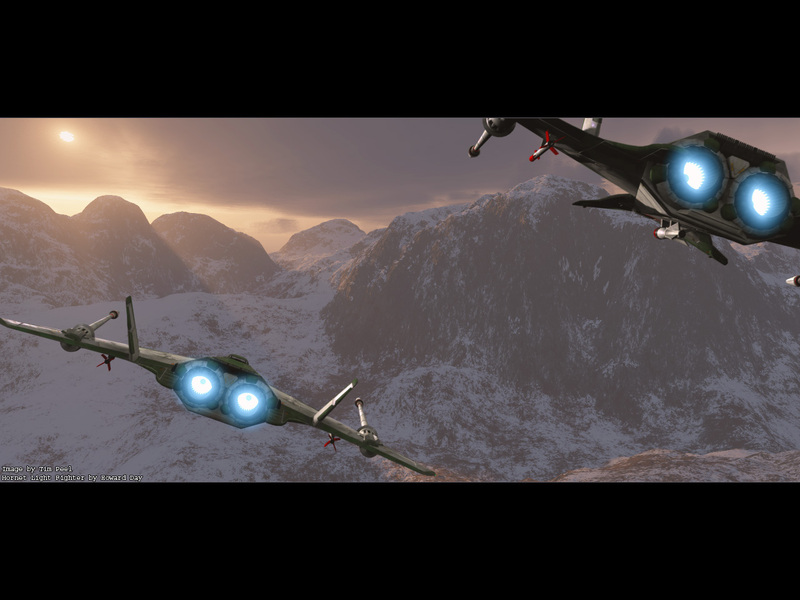 Using that same model, Tim Peel created a fantastic wallpaper a while back, and SabreAce made one too. 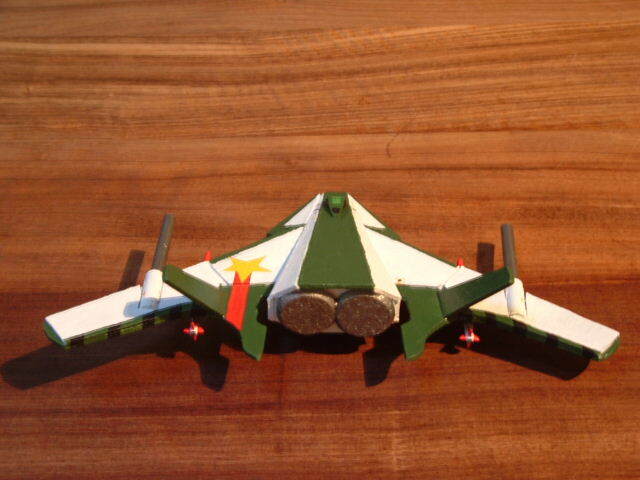 Alpha 1-1 even built a Hornet out of balsa wood. 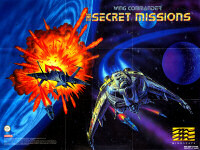 A super stylized version appeared in this ad for the SNES Secret Missions. 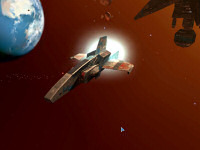 The trusty little fighter also made appearances in screenshots for a number of fan projects over the years. 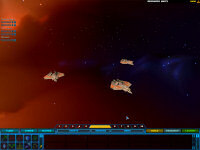 After watching Wing Commander Academy, Aaron Thomas was inspired to add the Scimitar to his WC4 Homeworld 2 mod. 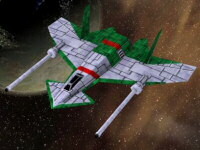 The fighter will fill an important gap in the Border Worlds fleet, much as it did in the Wing Commander IV novelization. Although some shots show an engine glow behind the acceleration absorbers, this has been removed in the game itself. Don't mind the prices and minor details that you see in the menus either. 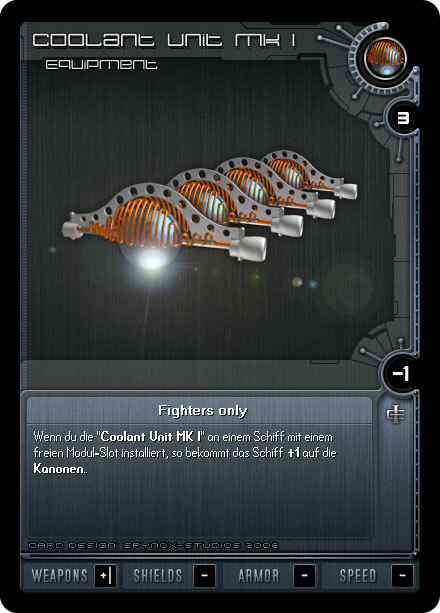 They are currently placeholder values since build and research tables for the UBW faction are not yet complete. I dunno what got into me today, but I got so pumped watching WC Academy (which I downloaded from CIC with my new net connection) that I went out and did this. 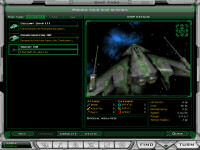 Games like Tie Fighter, Doom 2, Dune 2 and of course who could ever forget Wing Commander III. 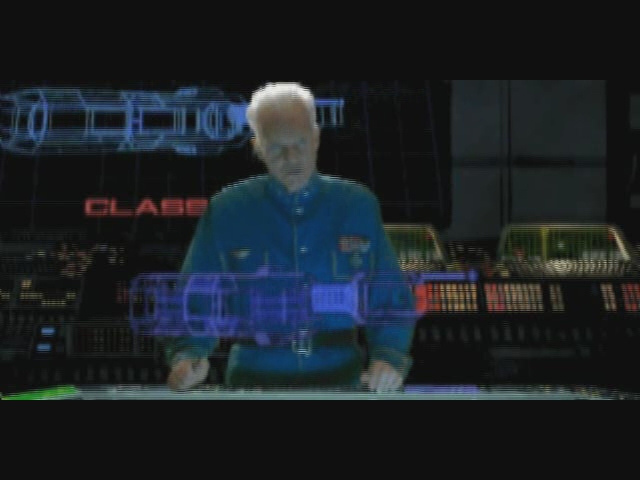 I played the entire Wing Commander series from the beginning, eventually with all the speech packs in tow, but WCIII really took my breath away. What a mix of storytelling and gameplay that really just clicked and made you crave to play more. 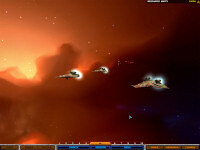 Crusader: No Remorse and No Regret, great games. 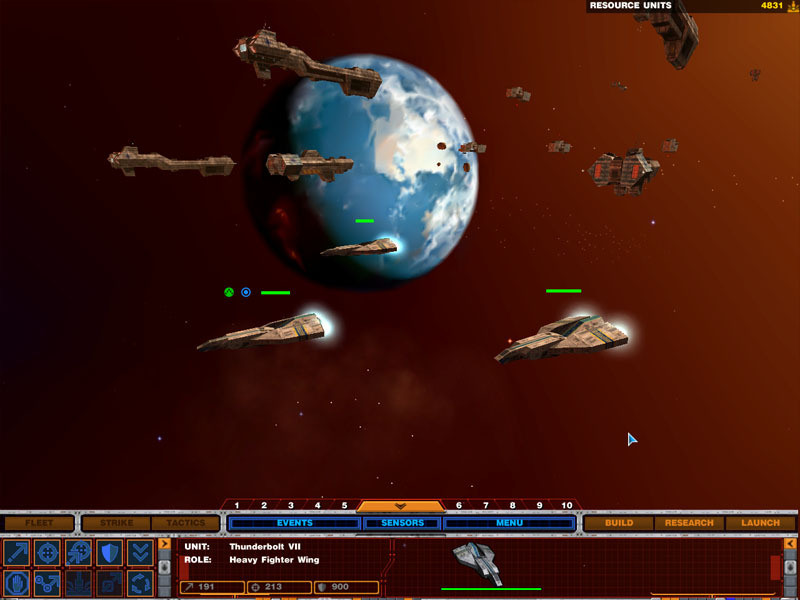 Bioforge, Full Throttle, Dark Forces, Command & Conquer, Starfleet Command, Star Trek 25th Anniversary, Might and Magic, Ultima, and finally Warcraft: Orcs and Humans. What a great era for the legacy of gaming. 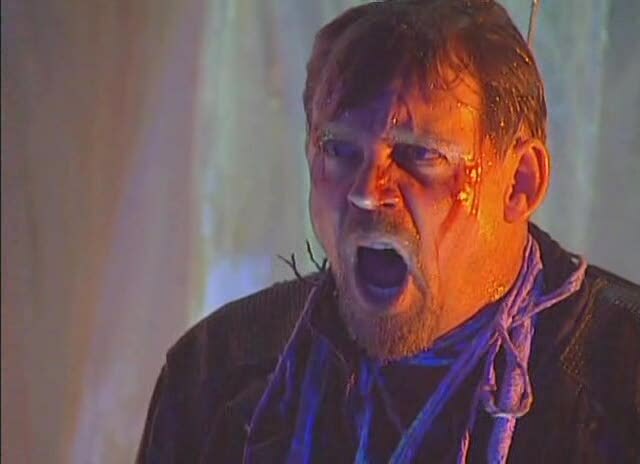 Oddly enough, Derek Chester is the same person who once tried to take credit for the 'lost' Wing Commander Prophecy script. 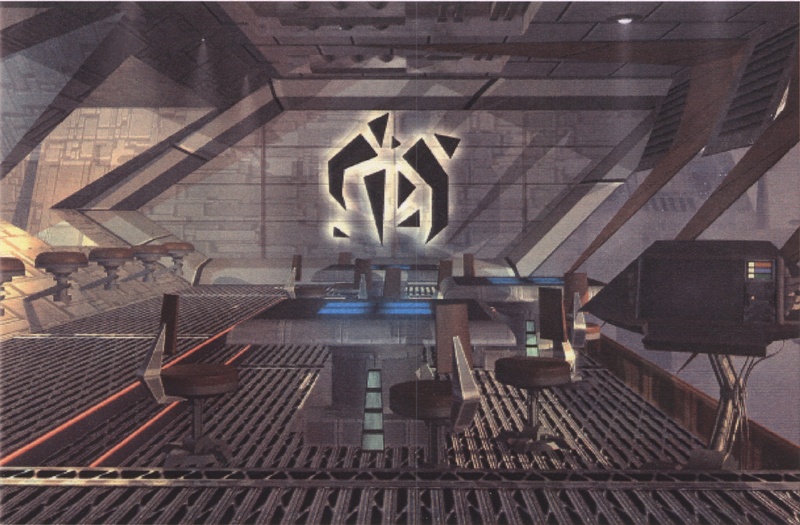 You can find the actual "original" Prophecy script in our Archive. 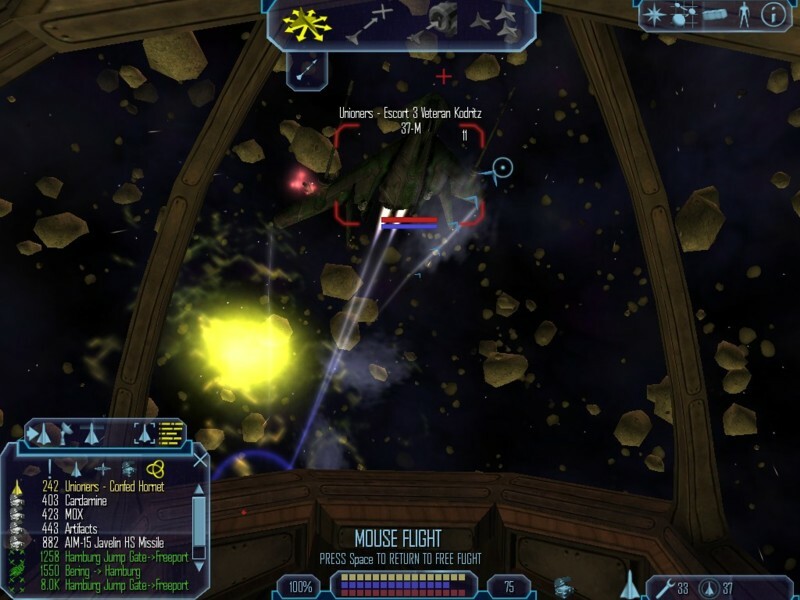 Nevertheless, Legacy will certainly be one of the multiplayer games the CIC staff will be playing on the XBox 360 this winter! Bad news for the impatient -- it looks like EA Replay will be delayed by two weeks. No official change has been announced, but both Amazon and Gamestop have changed their listings to reflect a November 14th release. Both of these e-tailers correctly preluded the original change to October 31st, so our guess is that Electronic Arts will follow suite at their official press site soon -- we will let you know (and change our counter) when or if this occurs. Still, it's been a full three years since Prophecy GBA was released... another two weeks for Replay can't hurt us! 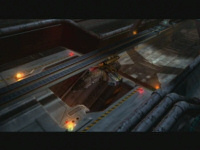 Electronic Arts today announced that the highly-anticipated Command & Conquer 3 Tiberium Wars™ (C&C 3) game will feature an all-star celebrity line-up for its high-definition, live action video sequences from critically-acclaimed television series such as "LOST" and "Battlestar Galactica," blockbuster films such as Star Wars The Empire Strikes Back and The Return of the Jedi (1980, 1983), Top Gun (1986), Starship Troopers (1997), and The Wedding Crashers (2005), and a former Miss USA pageant winner. The unparalleled, diverse cast includes Tricia Helfer, Josh Holloway, Michael Ironside, Billy Dee Williams, Grace Park, Ivana Bozilovic, Shauntay Hinton, and more! 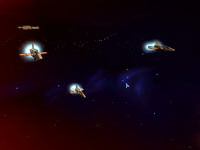 Several news sites' takes on the announcent, naturally mentioned Wing Commander: GameSpot and PALGN mention the series as an example of that great bygone FMV era... and GameDaily says that "[C&C3] is one of the largest, most well known casts to act live-action in the history of games, rivaling that of the Wing Commander series." We're not sure about that... but it's great to see anyone investing in live action again -- and even greater to have it be Electronic Arts! 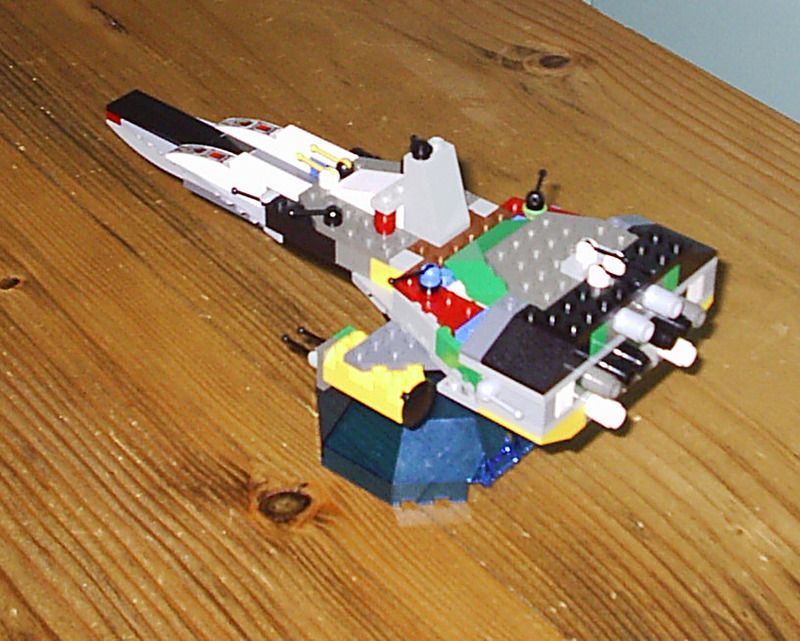 A new Wing Commander doesn't seem so impossible now. 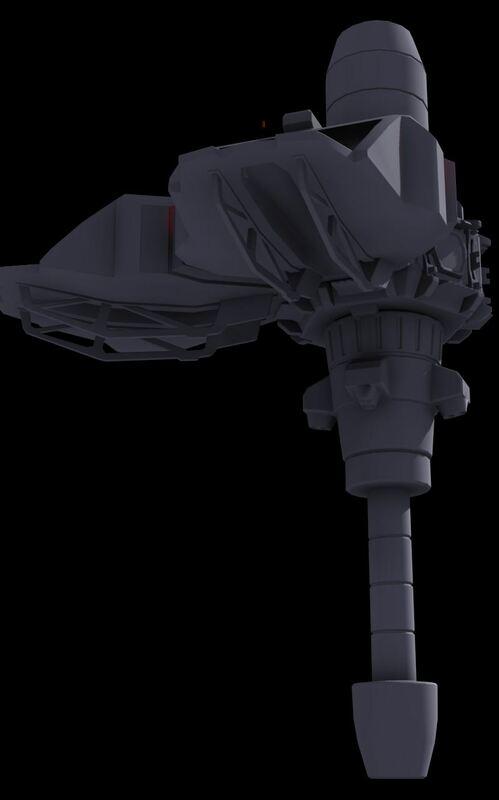 Okay, I've started detailling the basic modules that Brad sent over for the medium station. 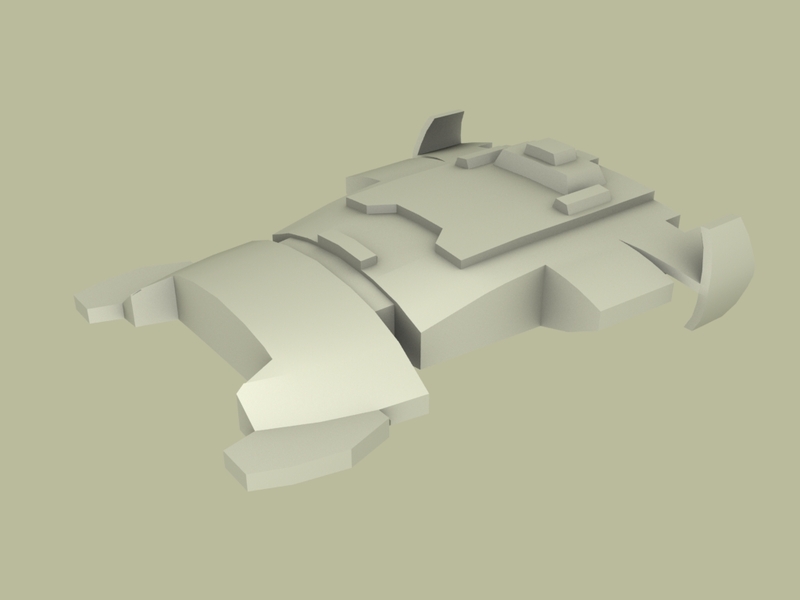 It's pretty rough detailing right now, but it will become more refined. 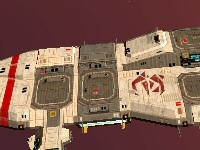 Right now, you've got your hexagon-shaped main connector - this is where the hangars, commodity exchanges and shipyards are attached (placeholder hangar there now) and the four fuel ports (show how much fuel the station has - a good indicator of how pricey it will be). We still have plenty of bandwidth to spare this month. You can help us by downloading the extended edition of Queeg's popular Heart Of The Tiger Movie Project. This is the new and improved cut that we posted last month. If you missed it the first time, this is a good way to recap the events of WC3 in the span of a few hours. You can download the extended version (2 hours 13 minutes, 850 megs) here. A shorter, smaller version is available here. You need either the XviD codec or the VLC movie player to watch this. We recommend a download manager like GetRight to reliably download something this size, even if you have broadband internet. Although we upgraded to a new and powerful server last month, we've been running the old one in tandem while we post some big downloads. There's still plenty of bandwidth left over though, and you've still got a few days to use it up. Wing Commander Academy is a big batch of files that everyone should have in their collection. The series celebrated its tenth anniversary last month, and this week is the decennial of Episode 05 - Lords of the Sky. 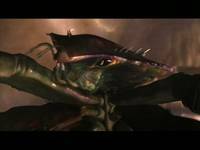 Download away and don't let the Piscean Arthrosquids bite! It's been a busy week for EA. 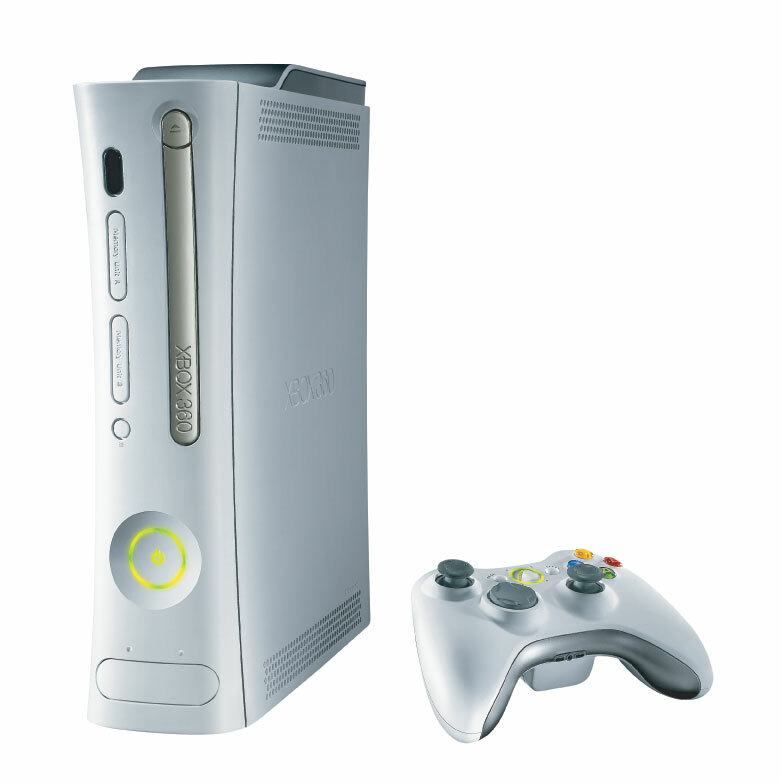 Today they begin shipping Battlefield 2142, The Sims 2: Pets and Tiger Woods PGA Tour '07. 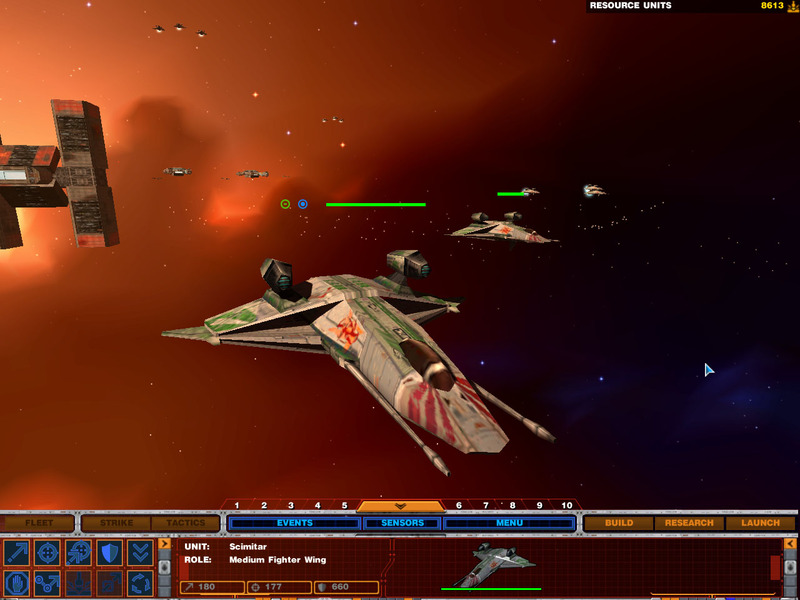 The three games were broken down into twelve versions across half a dozen platforms. Medal of Honor Heroes is up for release on the 23rd, and EA Replay is due the following week, along with Need for Speed Carbon and Ultima Online: 9th Anniversary Collection. The new UO package will contain all previously released expansion packs in one $19.99 set. Electronic Arts also just recently closed down their Warrington North UK and DICE Canada studios. 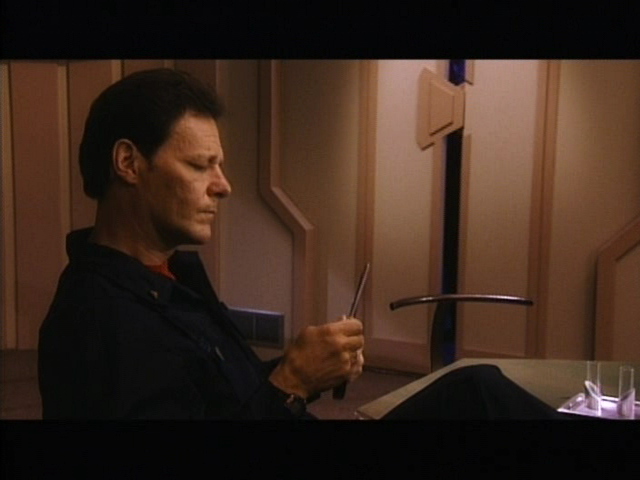 Mark Smids has come up with an easy movie viewer for the DVD quality Prophecy FMV files. Extract all three packs and point Mark's application to this directory. Double-click an entry to play. 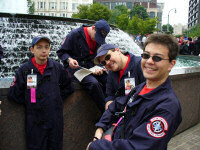 This helper application makes viewing the clips easier by adding scene descriptions to each file. We've edited the text down into a regular article which can be found here. 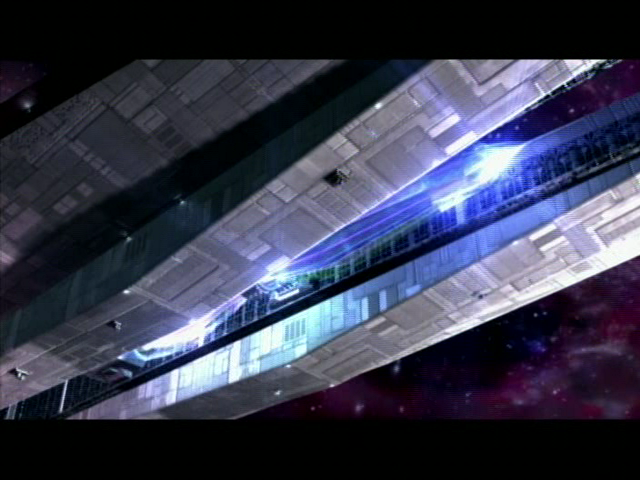 Owners of Wing Commander 4 on DVD can find a similar movie index here. 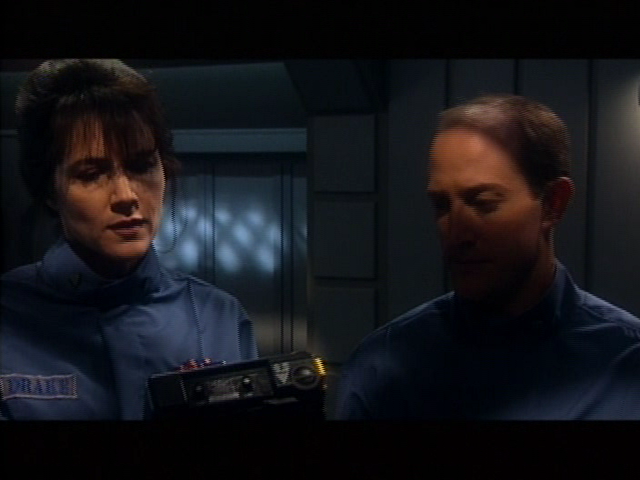 I've recently downloaded the great-quality FMV of WCP from wcnews.com. To have a nice overview of the movies I made a short description for each moviefile and created a navigation menu application (see screenshot in the mail attachment) for quick access to the movies. 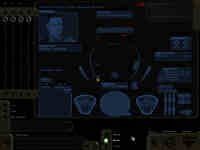 My navigation menu uses Media Player Classic as the engine (since it can play .VOB files directly). 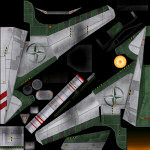 I would like to share this piece of software that I made to the Wing Commander community. I hope a lot of you will enjoy using this navigation menu. The installer (included Media Player Classic) can be downloaded here. You can download part one here (1.6 GB), part two here (1 GB) and part three here (550 MB). Stay tuned for a way to replace the game's CD-ROM videos with these higher quality files. Goku wanted to share this brief editorial about the difficulties in keeping up with PC games. 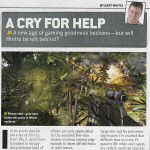 The author compares trying to run modern graphical marvels with demanding Origin titles in the past. I remember the early 1990s all too well, when... the first Pentium processors rolled out. 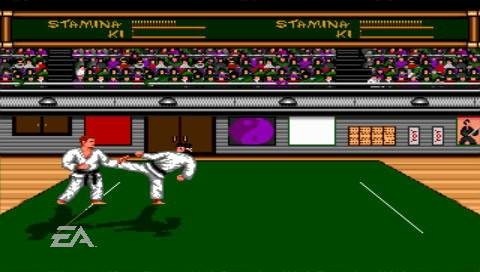 Developers like Origin Systems were falling over themselves to make games that could only be properly run if you had these bleeding-edge chips, while the majority of gamers still laboring with standard 486 processors had to endure Strike Commander experiences akin to a 3D slideshow. A 486 was still pretty darn fast in 1993 when Strike Commander and the first Pentium came out. Quite a few of our readers can talk about waiting 10 minutes or more for missions to load in Wing Commander 3 the following year. The wait was always worth it though, and all that cutting edge tech has helped the series age extremely well. 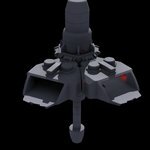 Quite a bit of work has been done on the new turret cockpit for WC Pioneer over the last week. 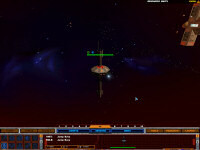 Tons of blinking lights have been added, VDUs are displaying data and space is visible outside the windows. All the polish has made the structure look really pretty. Fans have provided a number of additional suggestions for future improvements, and Howard is testing those out now. 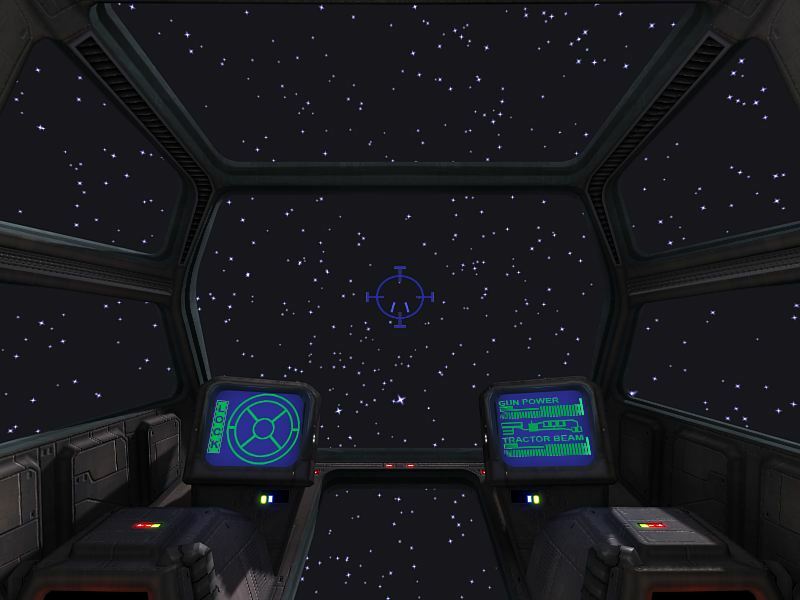 You can check out a Quicktime virtual reality version of the cockpit here or provide feedback at Crius.net. It's also interesting to see how the original turret concepts developed into this. Got pretty much everything sorted out - the majority of the textures are done, and the main displays have been completed. I've tightened up the pipes a bit and added some extra ones. There are a few little details left. If all goes as planned, you will be able to see your legs when flying. Lemme know any thoughts you guys might have. To celebrate their first birthday, GameTap is offering 50% off their subscription rate when you prepay for an entire year. That works out to about $5 a month or $60 a year. The sale lasts until October 22. 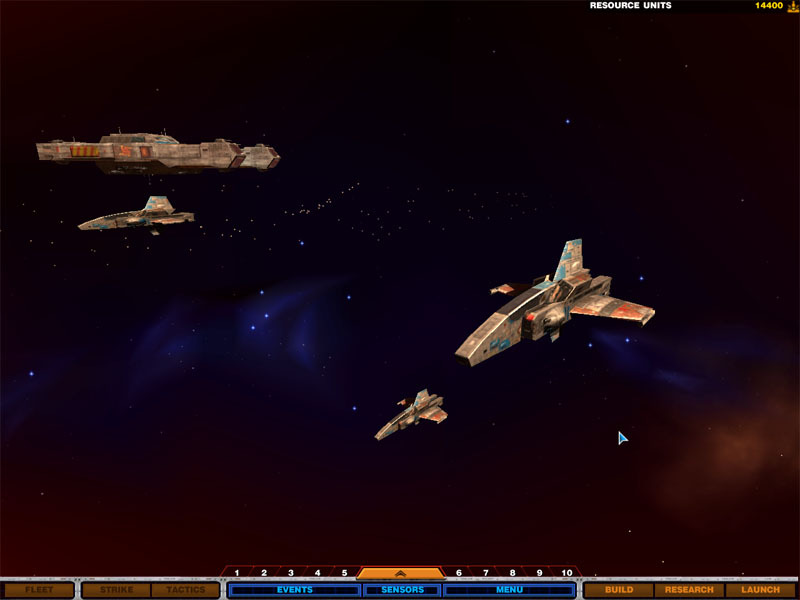 Although we're still waiting to hear what the latest word is on Privateer's addition to their roster, a ton of classic Origin, Electronic Arts and space sims/adventures are now available, and new games get added each week. Accounts can still only be created by US residents, but each paying subscriber is encouraged to make several sub-accounts for family and friends. Only two of these users can play games simultaneously, but this makes the program an even better deal. Players in other countries don't seem to have a problem accessing the service if their primary account holder is in the US. 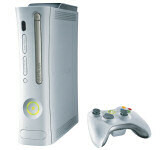 GameTap gives you unlimited access to hundreds of the world’s greatest videogames, all through your broadband PC. Console games, arcade classics, modern PC hits and even brand new exclusive titles—GameTap has them, and all for one low monthly fee. It’s easy to use, and no special hardware is required—just the broadband PC you already own. Gemini Gold's latest improvement takes place in the Commodity Exchange. 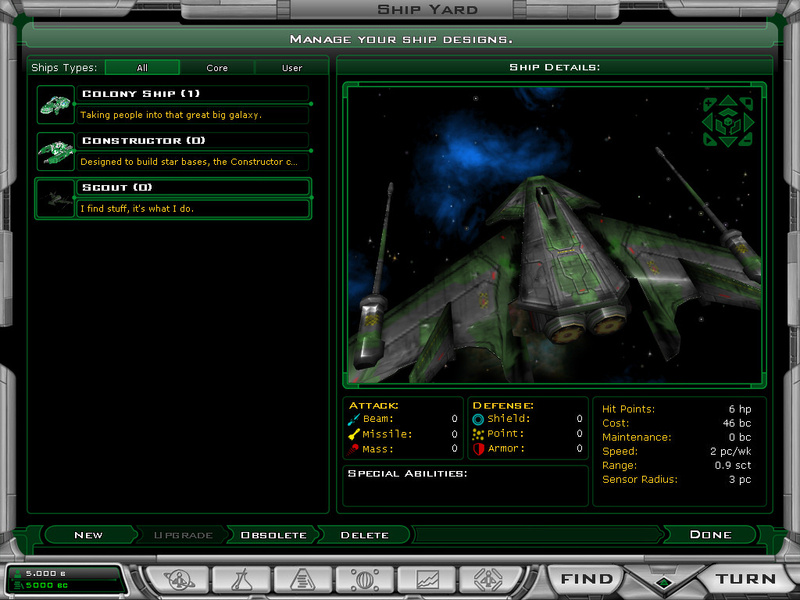 They've taken out the ungainly purchase menu and put in an interface that closely resembles the original. Some of the back stock appears to have sold out and a light bulb must've popped up front, but the new store looks pretty good. John Cordell and team have spent most of the year removing rushed elements that didn't mesh well and painstakingly replacing them with new art. You can read about some of their other improvements here. Origin's record of innovation didn't stop with Wing Commander: this trio of CGW advertisements promotes Ultima Underworlds I & II. These classics created "the first continuous-movement, 3D-dungeon, action fantasy" - which is to say that they're early RPG-derived ancestors of the first person shooter genre which dominates gaming to this day. Wolfenstein 3D, which was released soon after The Stygian Abyss, ultimately became more popular, but the Los Angeles Times preferred Underworld, saying "the 3D perspective lends an element of virtual reality not seen in other first-person adventures. A rich texture of character and story detail combine to keep a determined adventure involved for hours." 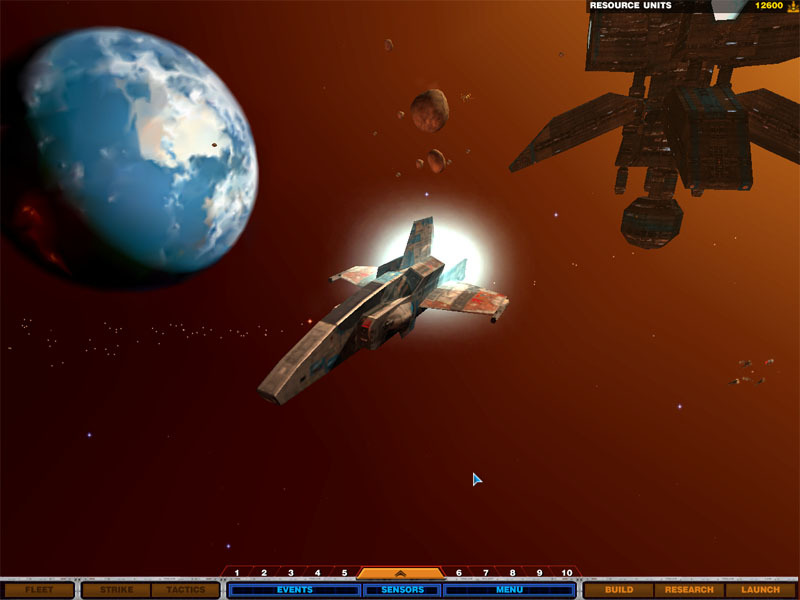 An improved sequel, Labyrinth of Worlds, was immediately developed with upgraded gameplay and graphics. The team behind the games went on to develop System Shock, a similar RPG/shooter mix. 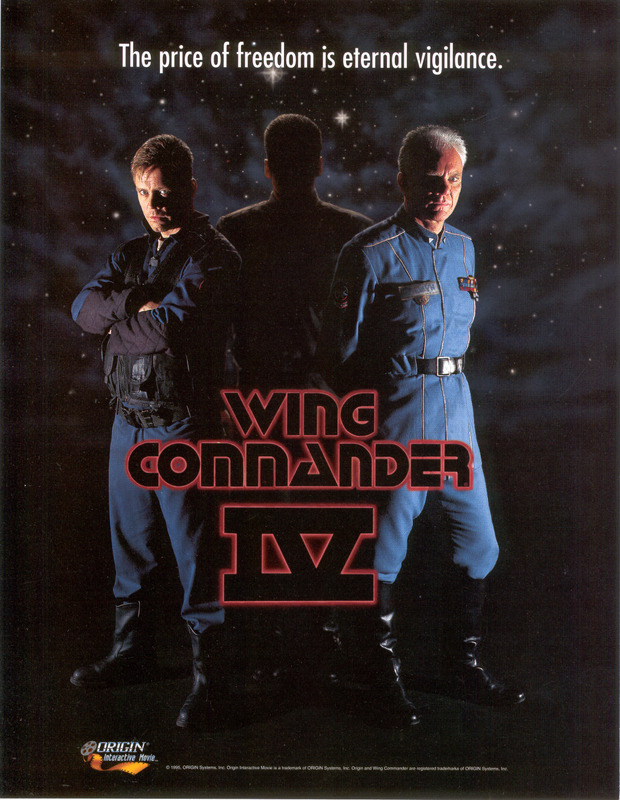 Wing Commander fans should look out for a special CD-ROM release which includes both Wing Commander II and the second Underworld. 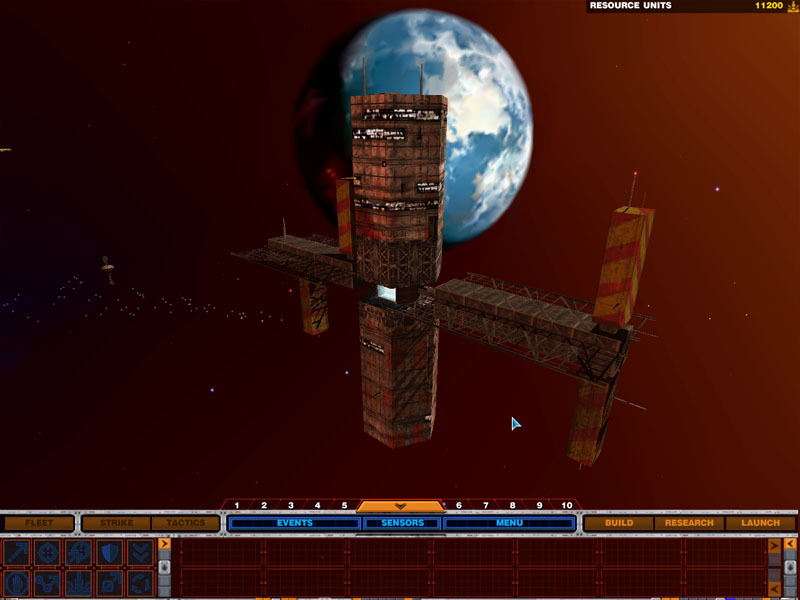 Some games can't be showcased with a few screen shots and some descriptive text. 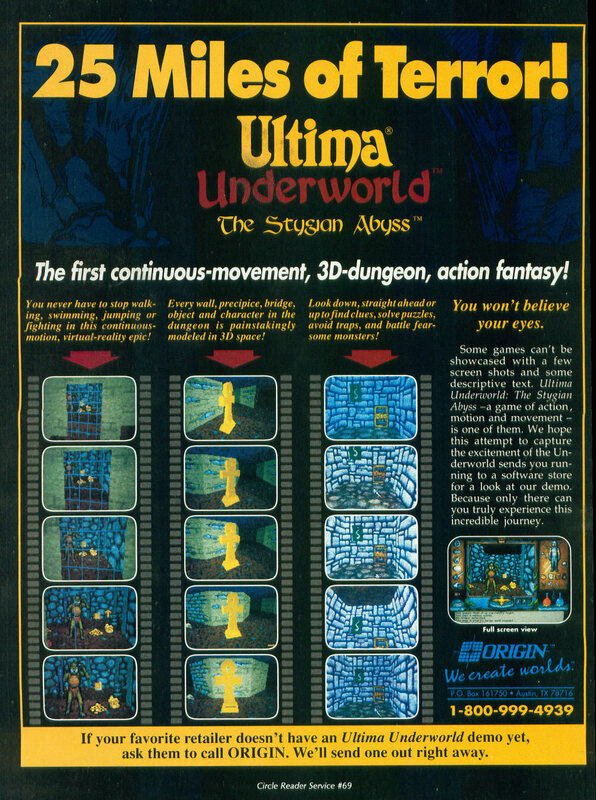 Ultima Undeworld: The Stygian Abyss - a game of action, motion and movement - is one of them. 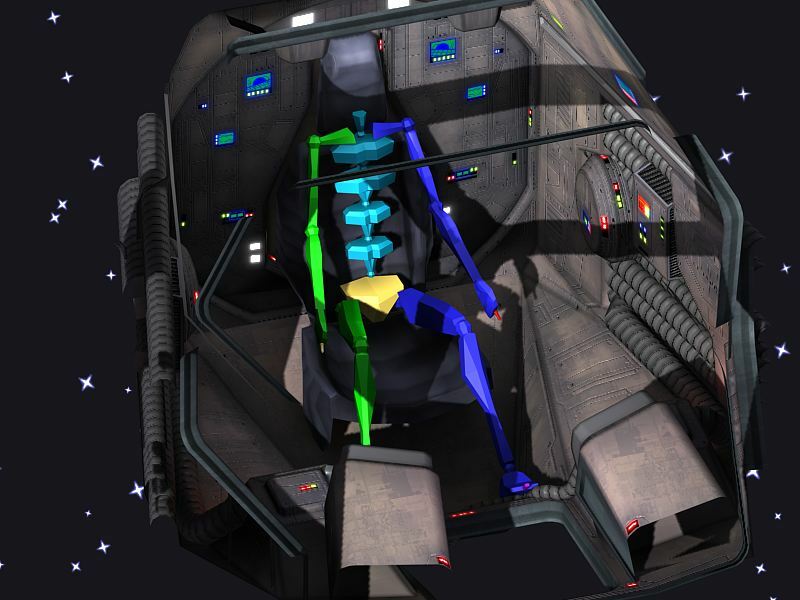 We hope this attempt to capture the excitement of the Underworld sends you running to a software store for a look at our demo. Because only there can you truly experiene this incredible journey. 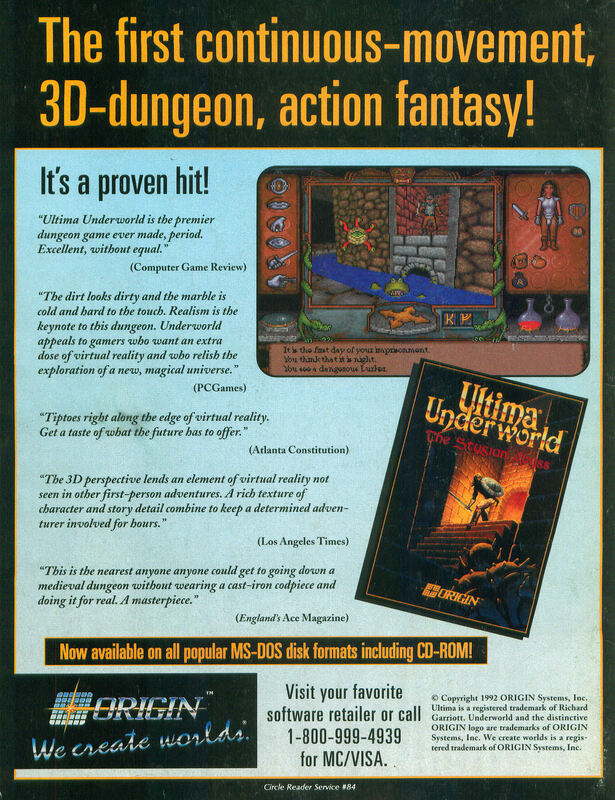 If your favorite retailer doesn't have an Ultima Underworld demo yet, ask them to call ORIGIN. We'll send one out right away." 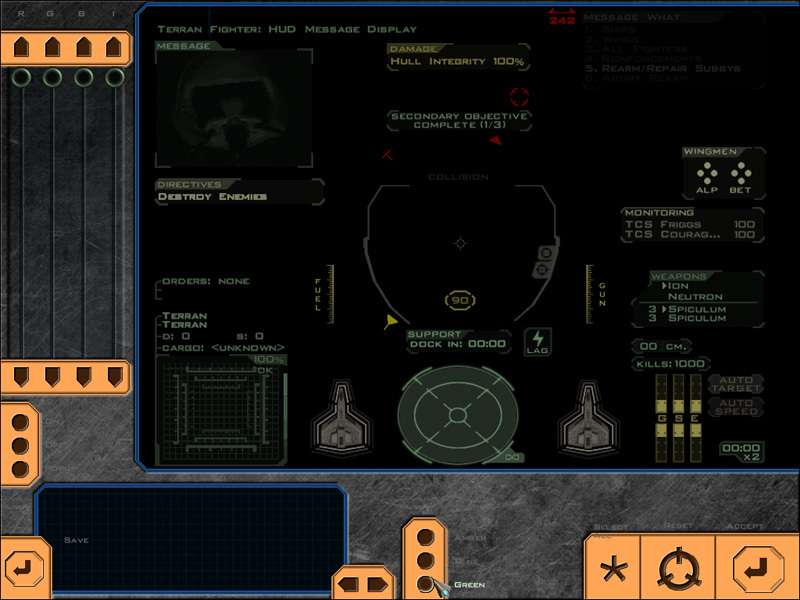 Here's another look at the Wing Commander style user interface that Aaron Thomas has added to the WC4 Homeworld 2 mod. 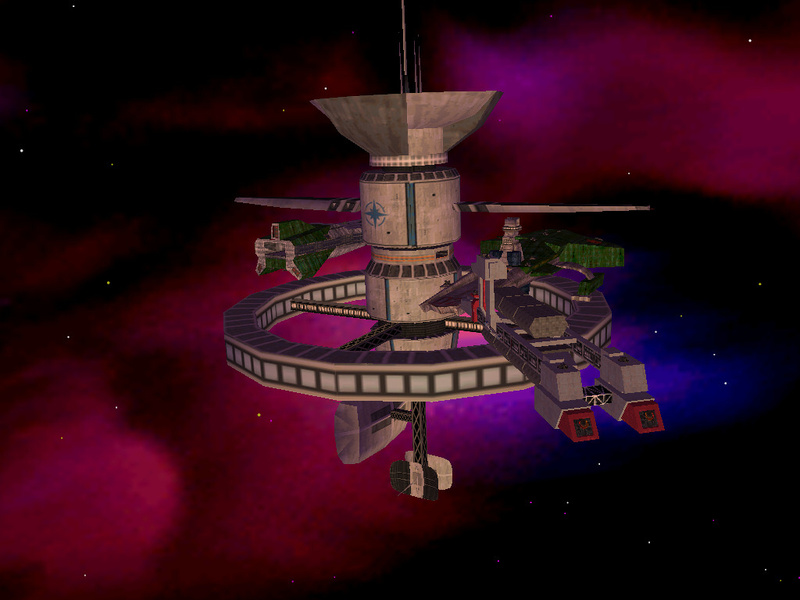 It's the same layout as shown previously, but all of the ships, satellites and stations below belong to the Union of Borlder Worlds. 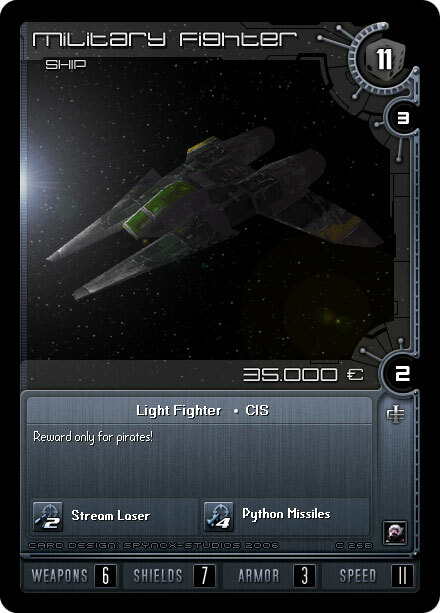 Aaron is now looking at finalizing the Border Worlds fleet so he can move on to the Black Lance faction. 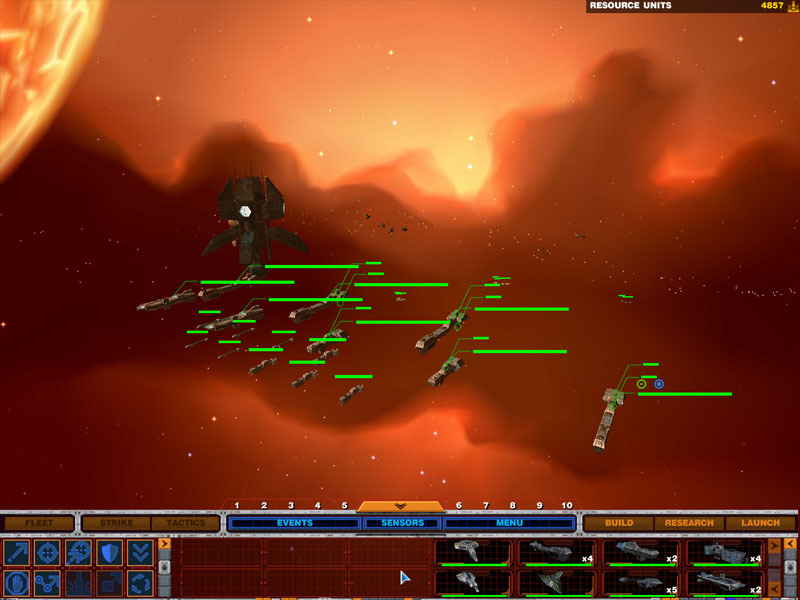 Although the game wasn't built with widescreen displays in mind, players can manually enter their resolutions into a configuration file. This will stretch the display across any size screen. 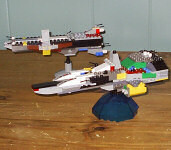 Seth Brice sent in a few photos to show off his new flotilla. 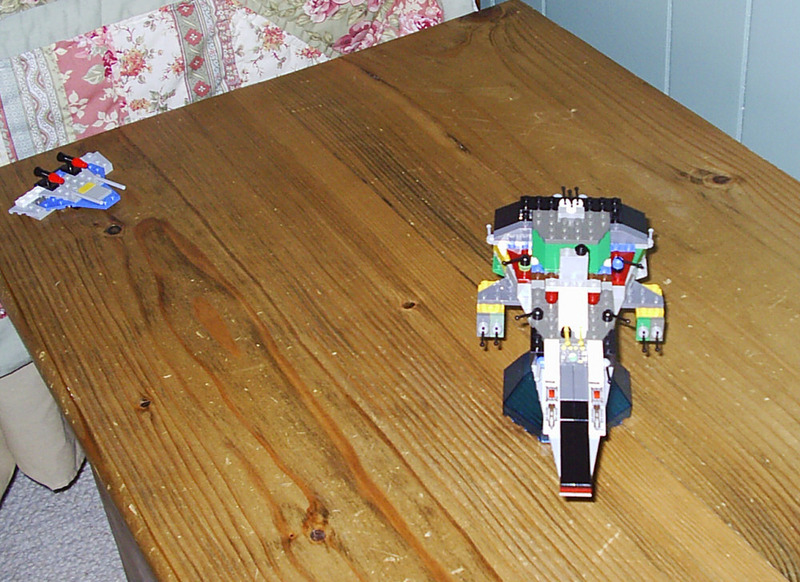 He's built a Kilrathi Dreadnought, TCS Tiger's Claw, TCS Victory, Broadsword and Scimitar out of Legos. Each has its own stand. Color can be difficult to match for many Lego creators, but he's managed to incorporate a number of nice touches with the pieces he did have available. 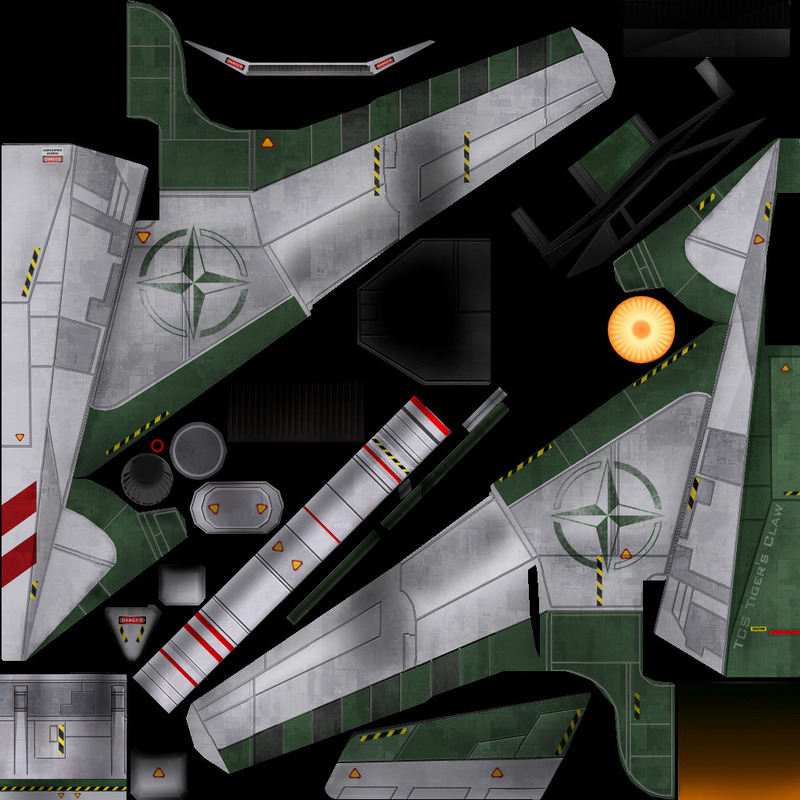 You can check out a whole bunch of other Wing Commander designs here. 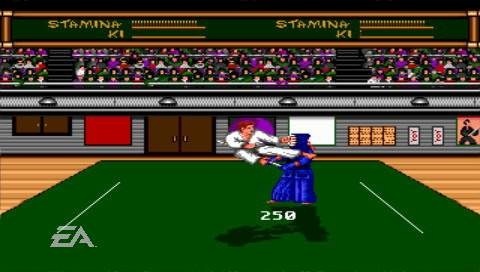 IGN has posted an interesting editorial: it's a wishlist of classic games that should be ported to X-Box Live Arcade, following the highly successful release of DooM. 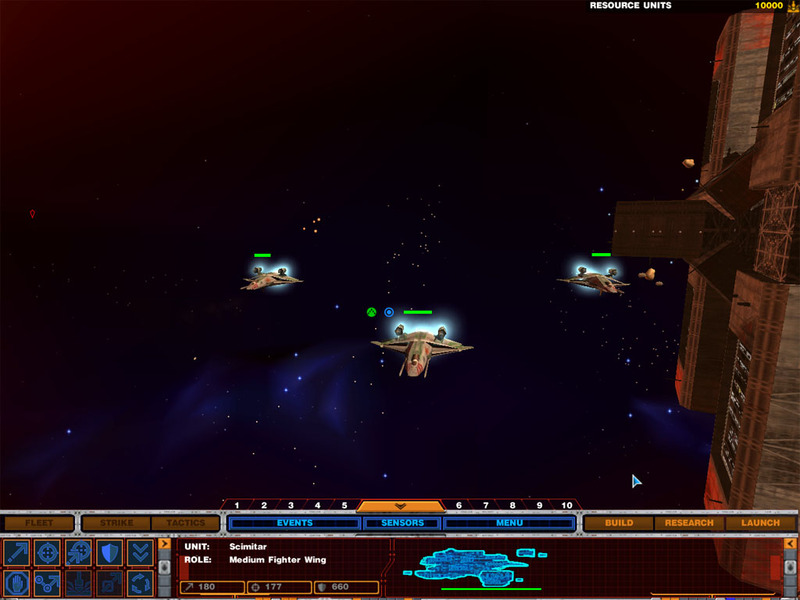 Sure enough, Wing Commander made the list. Origin games also took three other slots: Crusader: No Remorse (#6), Abuse (#8) and Autoduel (#9). So... where's Ultima? 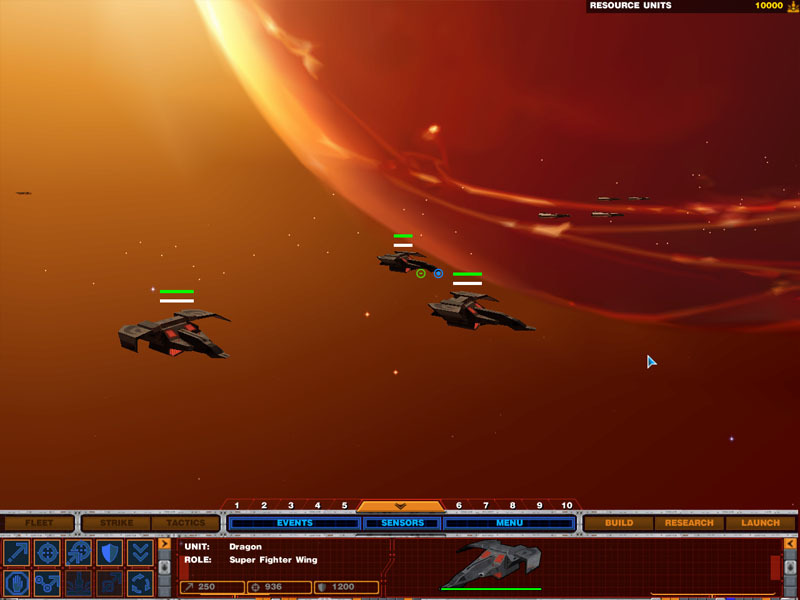 Origin Studios' ultimate space shooter franchise featured some phenomenal dog-fighting. This game would work both as a multiplayer and a single player game. 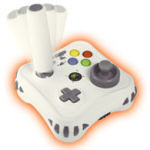 Microsoft has also recently licensed Mad Catz to produce a full-featured X-Box Live Arcade Stick. 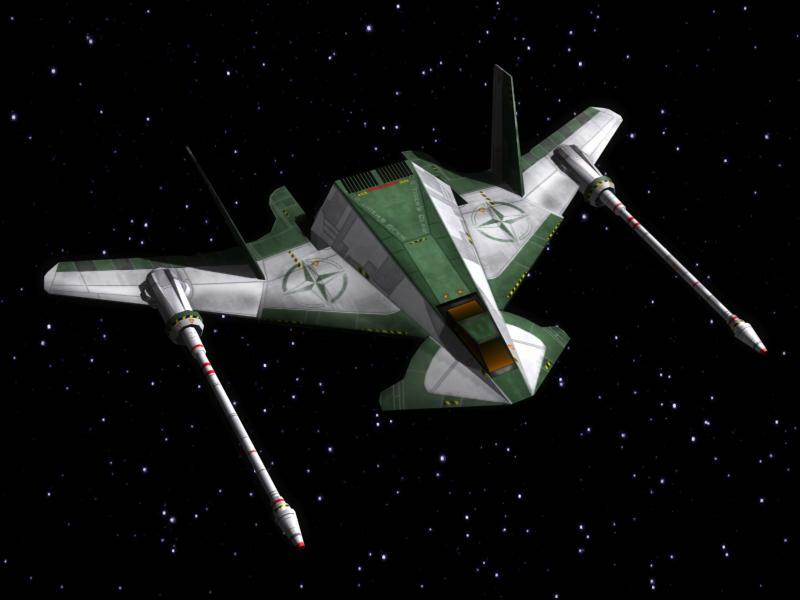 Even if they don't end up porting Wing Commander to Live Arcade, the X-Box 360 is still an excellent platform for Wing Commander fans to use for getting together. 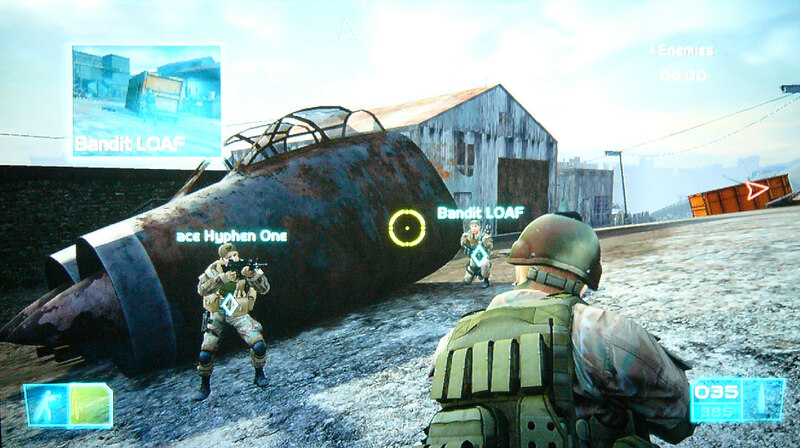 The CIC staff frequently runs games of Ghost Recon: Advance Warfighter, and we welcome any other WingNuts to join the fun. There are some other promising games on the horizon, including Rainbow Six Vegas and Star Trek: Legacy. 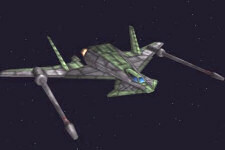 We highly recommend any Wing Commander fan invest in an X-Box 360. George "Fat Man" Sanger's personal story about video game audio was released a few years ago, but it's still making the rounds and getting great reviews. We only mentioned it once in passing, but Goku reminded us about it after reading this article on important books about the gaming industry. 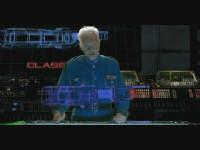 The Fat Man is well known for his music in Wing Commander, Ultima, 7th Guest, Maniac Mansion, Sim City, LOOM and more. He's widely credited as being one of a handful of people responsible for taking video game audio from old beeps and boops to something meaningful that enhanced the overall entertainment experience. 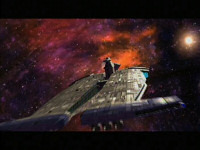 Team Fat helped pioneer things such as Wing Commander 1's dynamic audio that changed depending on the intensity of the situation. 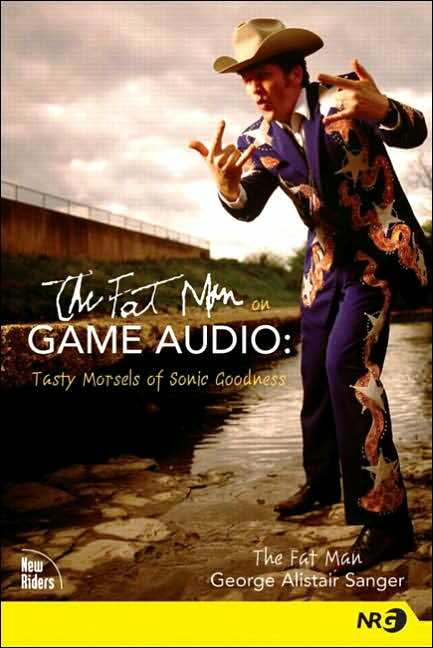 More recently, Gamasutra mentions that he's experimenting with the sound that casino slot machines produce, and both they and the Austin Chronicle highly recommend The Fat Man on Game Audio: Tasty Morsels of Sonic Goodness (they both mention Wing Commander to boot!). Pioneer is back! 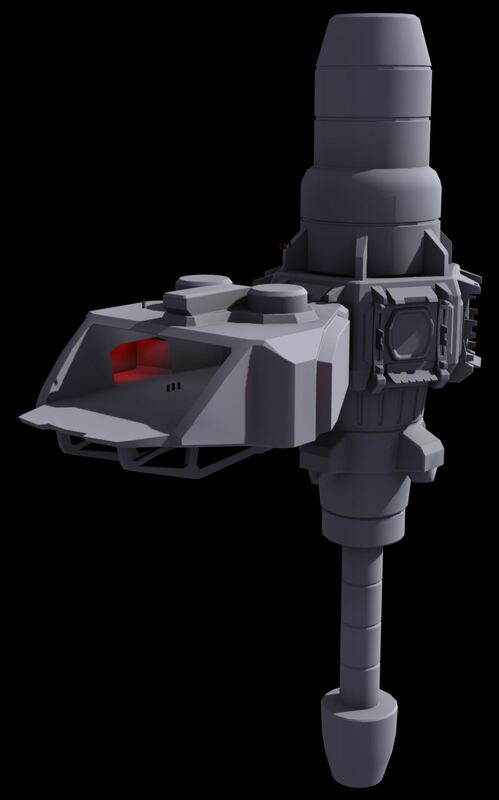 Howard Day has posted another work in progress, the cockpit art for the game's gun turret. 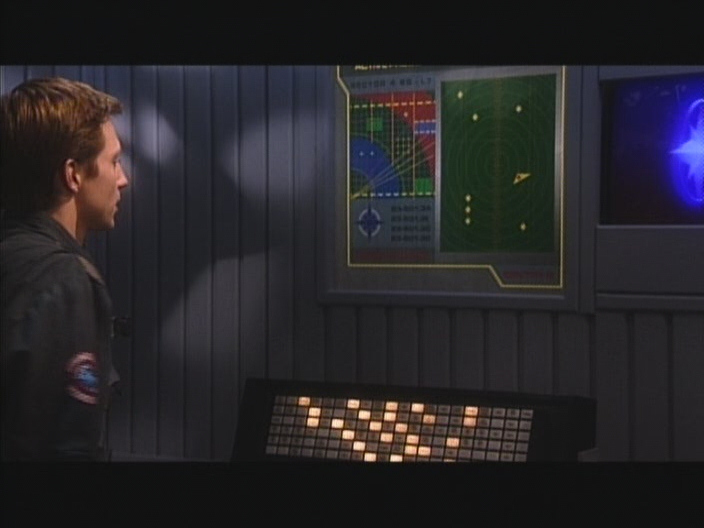 Howard says: "The two screen to the front will have a radar display on the left and gun power/tractor beam status on the right. Take a look and let me know what you think. 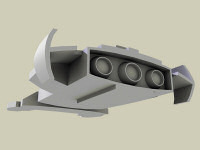 Any suggestions for improvement or thoughts on the coclors or layout are welcome." 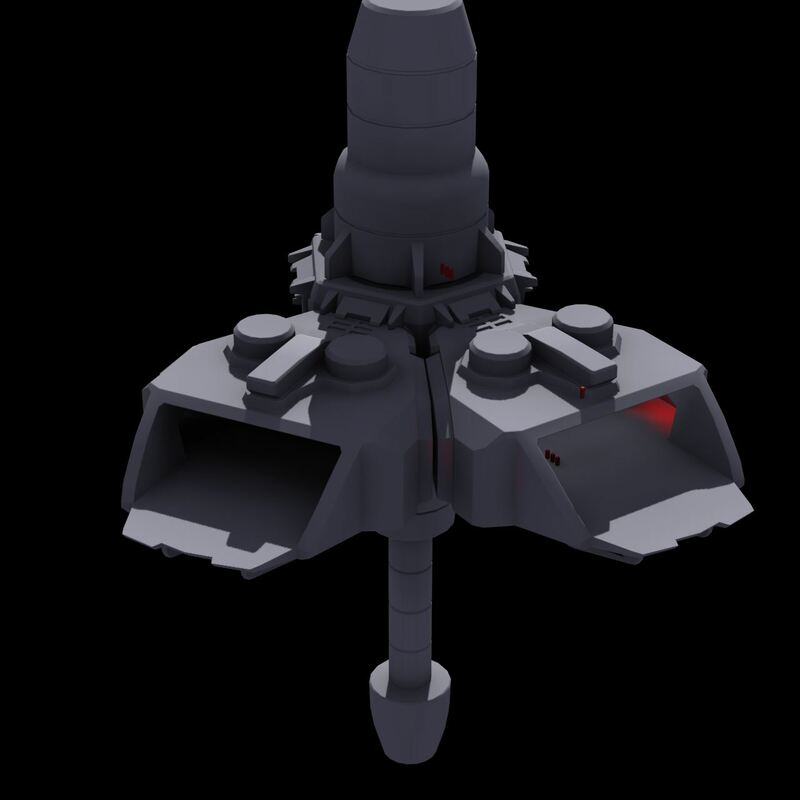 You can download a Quicktime walkthrough of the turret here. 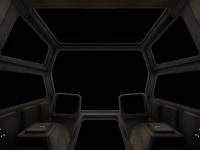 Kyran has added a few things to the Perfect Plan mod for Flight Commander and combined everything into one supplemental download package. 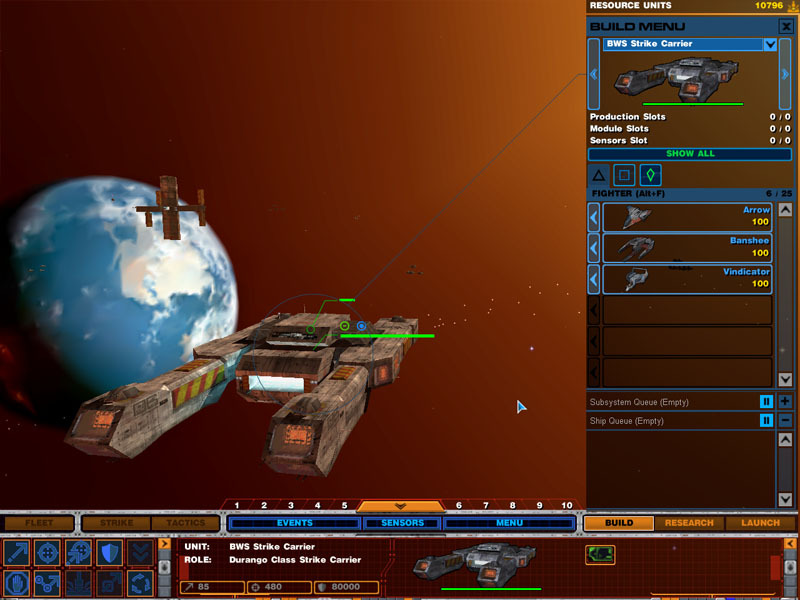 The game takes place during a war between two factions known as the Network and the Alliance, and it utilizes parts of the Ranger's Glory mod to round out its fleet. 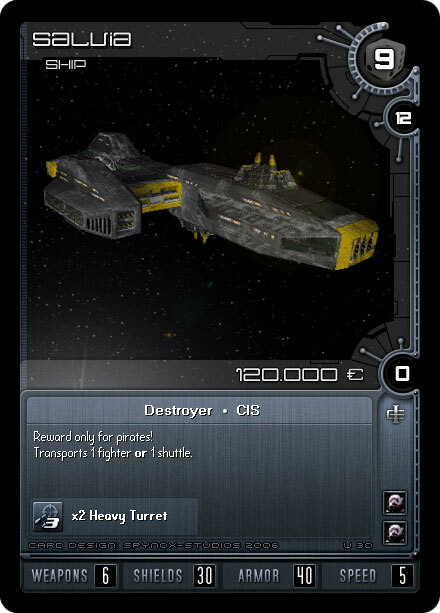 Future versions should include resource trading and ship construction as well. Additional features are described below. 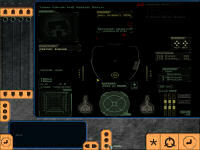 To give this test release a try, install Flight Commander 1.4 and set up the Perfect Plan download on top of it. 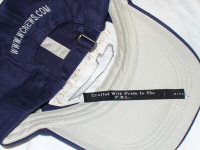 You can also help provide feedback at Crius.net. 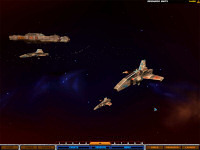 The current release sets the scene and gives a small taste of the planned campaign. 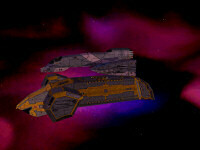 It has five missions, five new voice overs and three edited ships. 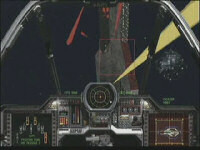 The release has been tested to work with Flight Commander 1.4.5 and should work with 1.4.6 without any trouble. 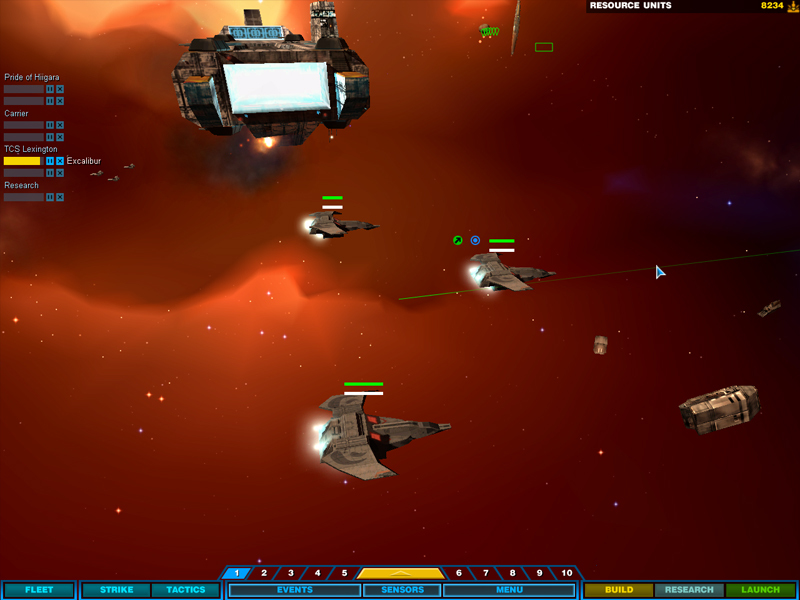 Another feature is the option of playing on either side of the conflict. 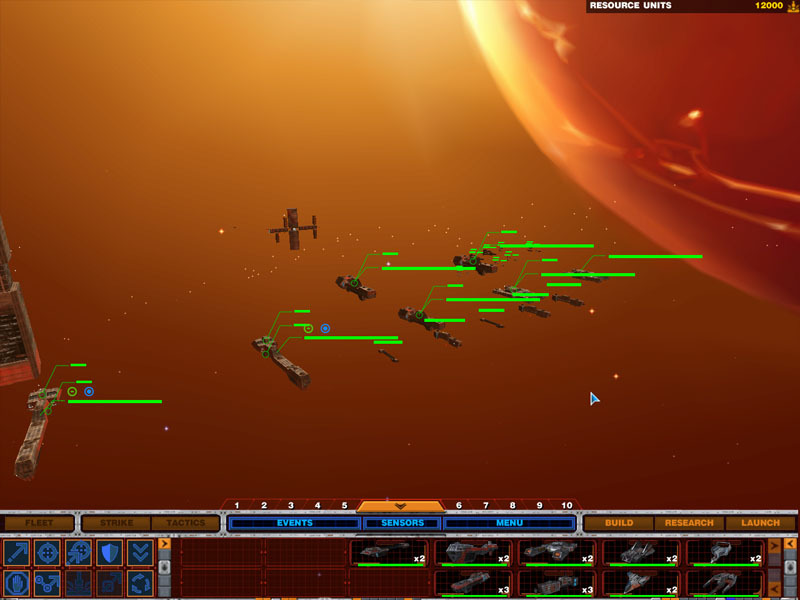 Early on in the campaign, while the main character is lone wolfing, two enemy pilots give the option of defecting to their side. You could either pretend to defect and lead them into a trap or truly defect and annoy your ex-wing mates. 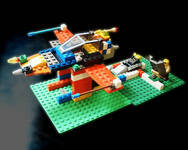 Mods like Perfect Plan wouldn't be possible without eddieb's Flight Commander program. Reprogramming Prophecy or Secret Ops is very difficult, but Eddie has made it easy for new modders to get their feet wet with something a bit more user friendly. 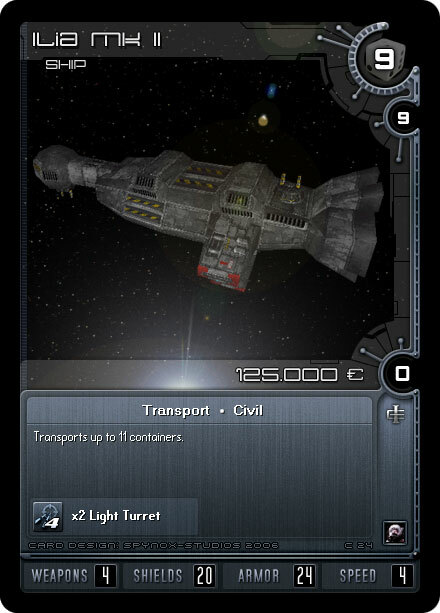 New this week is the version 1.4 patch 6. 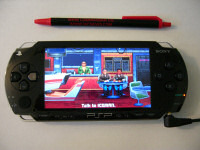 It corrects an issue with the game recognizing joysticks. 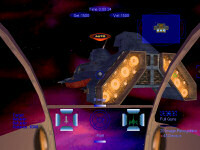 You can get help on running various FC mods or learn about making your own project at the Flight Commander Forum. For the more advanced missions, scripting is done with the user-friendly but powerful lua scripting language. 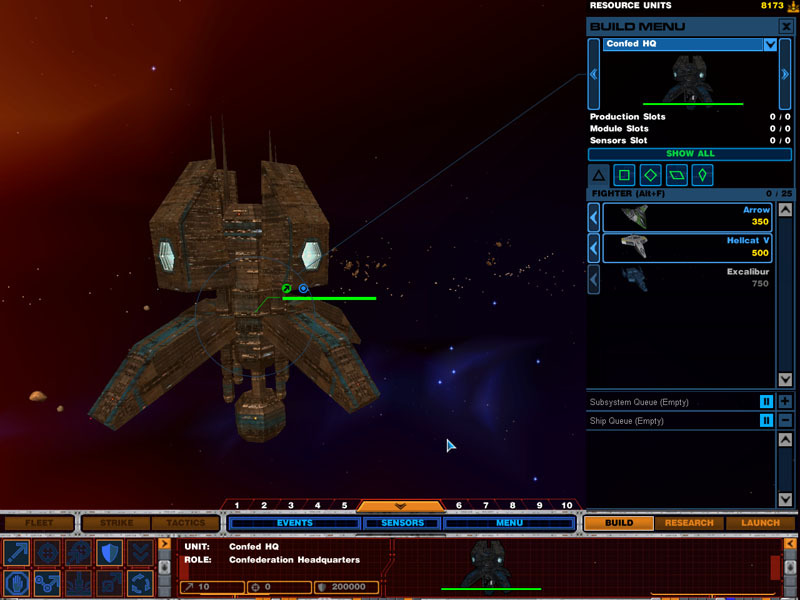 All scripting commands are well documented, and many examples are included for a variety of missions. 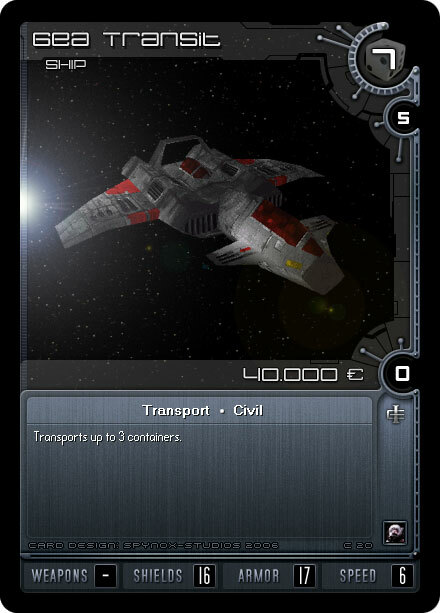 Jacob Hudson has posted a variety of new mock ups for his customizable card game inspired by Privateer 2 and Das Erwachen. 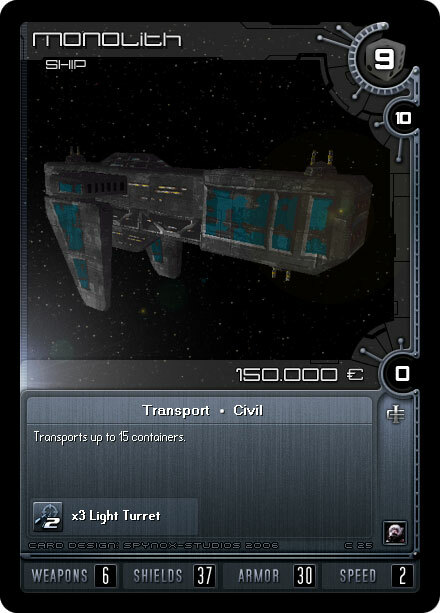 This batch highlights several military ships and large transport craft and finally reveals equipment cards. 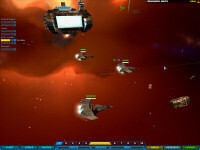 Additional types, such as events and maneuvers, are in the works. The game is being made with both German and English audiences in mind, so card texts with both languages are floating around. You can help provide feedback and read developers' notes at Crius.net here. 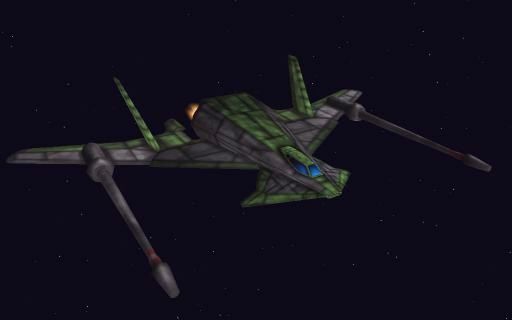 I'd love to see an online multiplayer game set in the "Wing Commander" universe, where players could fly ships as Confed military, Kilrathi, pirates or privateers, and battle each other in deep space. 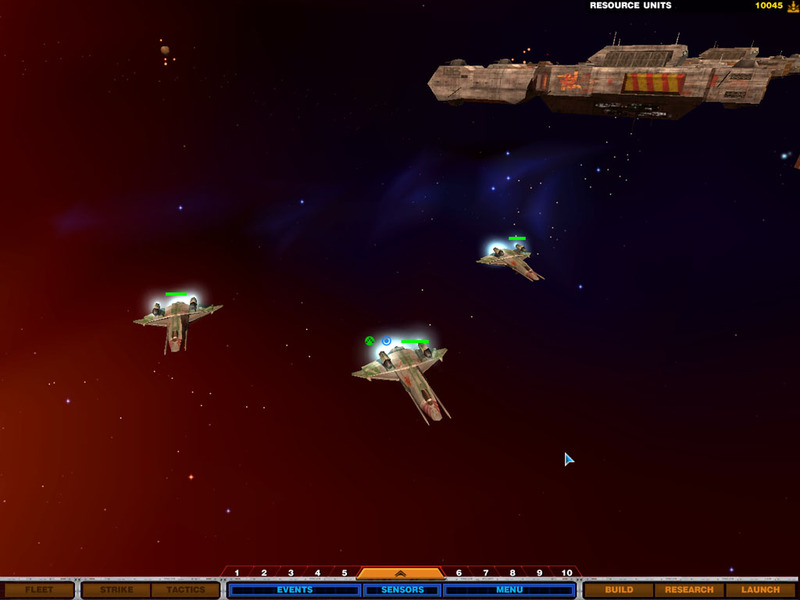 Aaron Thomas is still chugging along at full steam on the WC4 Homeworld 2 mod. 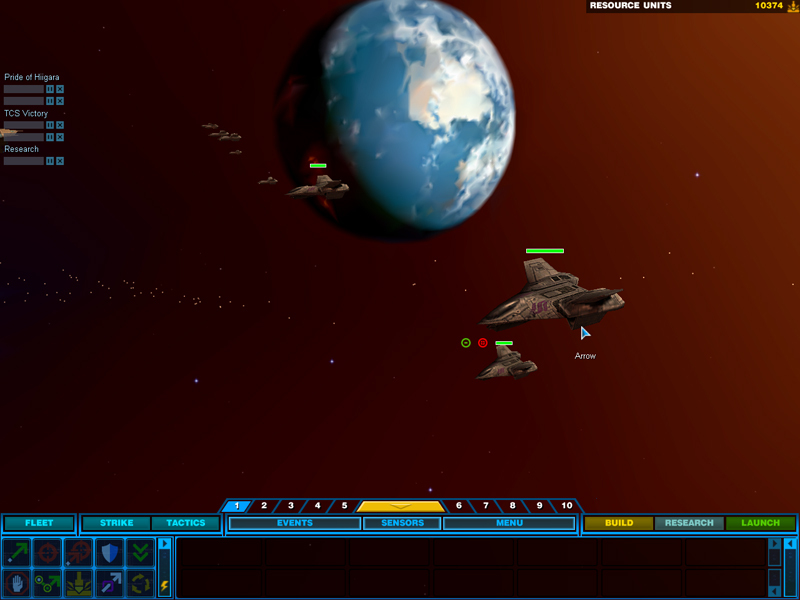 He's successfully upgraded the interface and HUD from the default to a Wing Commander inspired design. Since the game doesn't support different layouts for different factions, he's combined elements from the Confederation and Border World schemes into his design. 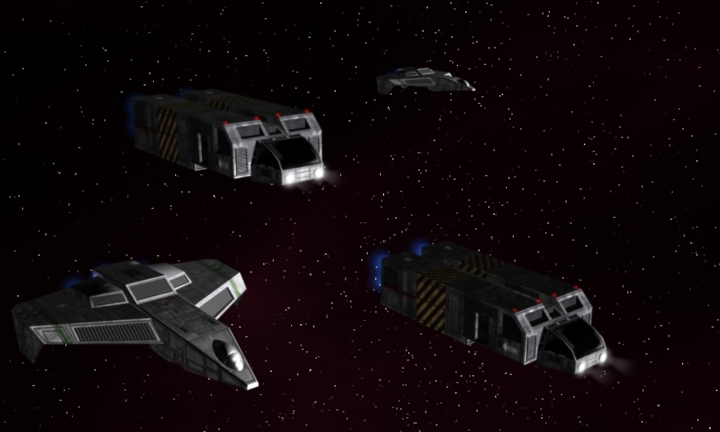 Here are a variety of Confed ships (and one Black Lance shot) with the new user interface. 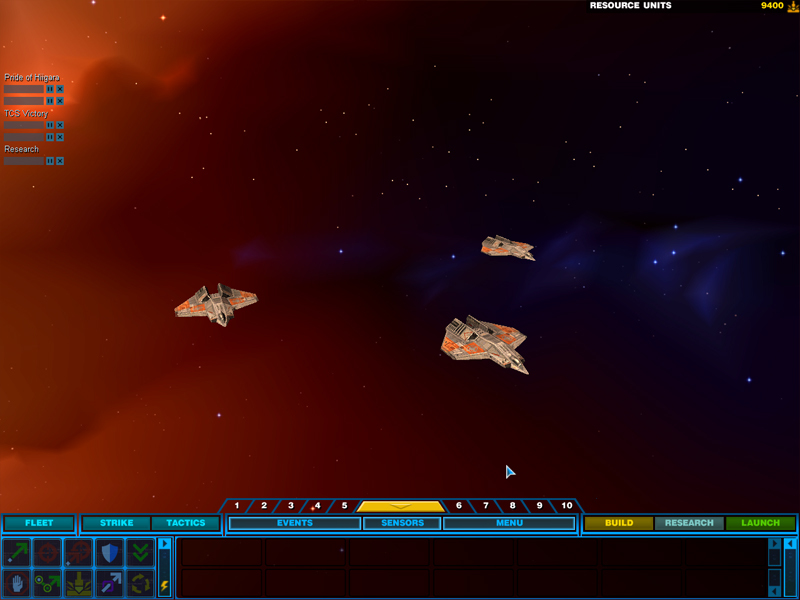 The changes help improve the overall look and feel quite a bit. 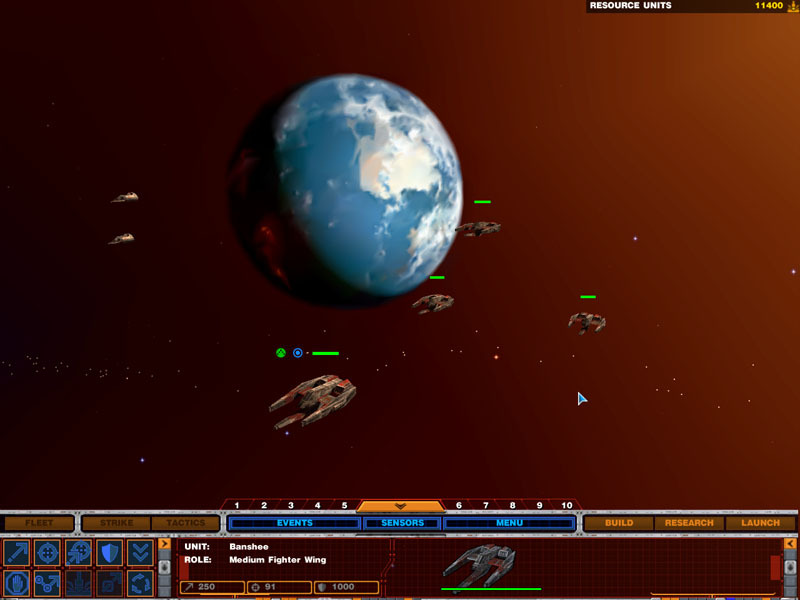 In terms of general progress, Aaron's about 70% done integrating Wing Commander sound effects, and the Border Worlds faction is about 90% complete. You can help provide feedback over at Crius.net. 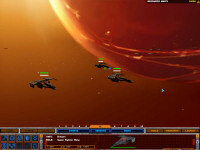 The WC Saga team has posted several shots that detail the tweaks they've made to the HUD. 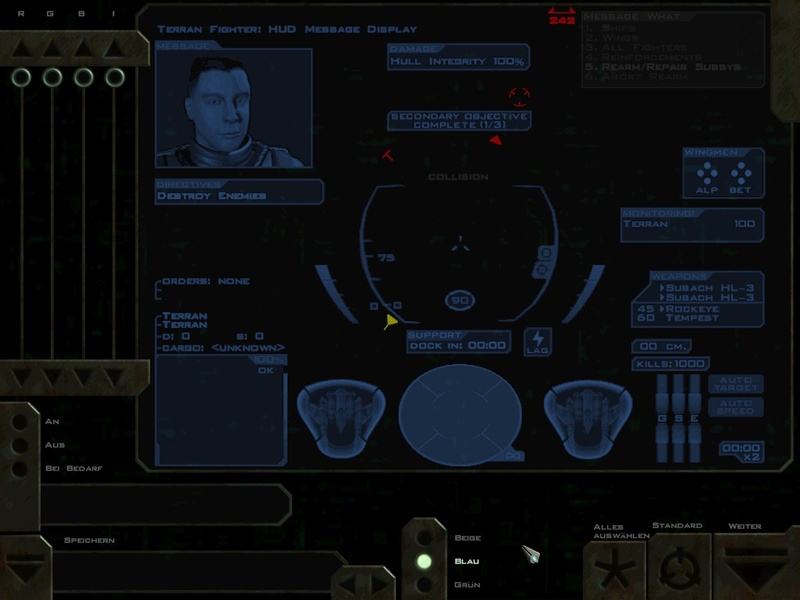 Although it is very similar to the original Freespace interface (pictured third), you can see variations in almost every element that make them more closely resemble their Wing Commander counterparts. There are different color schemes available, and individual components can be customized on their own to the player's preference. 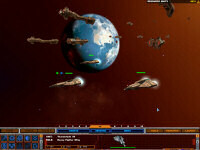 Some SNES emulation is also present with Ultima VII, Syndicate, and two Wing Commander games. 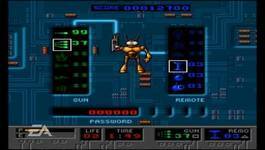 These are pretty faithful versions, but unlike many of the Genesis games on the disc, most of these SNES games were originally PC games that were better on the PC. 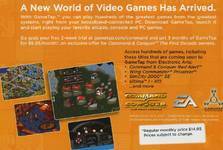 So you'll be getting the sort-of-crippled console versions of these games instead of the classics you might remember. 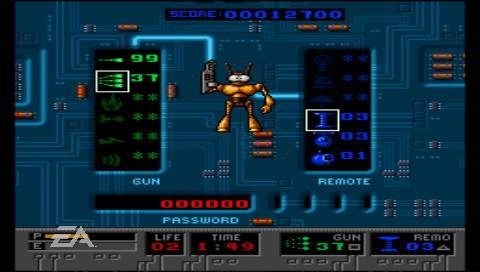 ...The options and menus are in, however, and you'll be able to save your progress in any game at any time--which should get around some of the password entry hassles found in the original games--and select from either the original 4:3 aspect ratio or a stretched 16:9 view. They've also posted four "Official Movies," which add up to roughly half an hour of someone playing Road Rage and Syndicate. You can find those here. GameTap has added a new trio of EA games to its library. 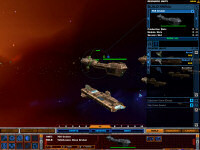 Sid Meier's Gettysburg!, the original Command & Conquer and C&C Red Alert are now available to play. 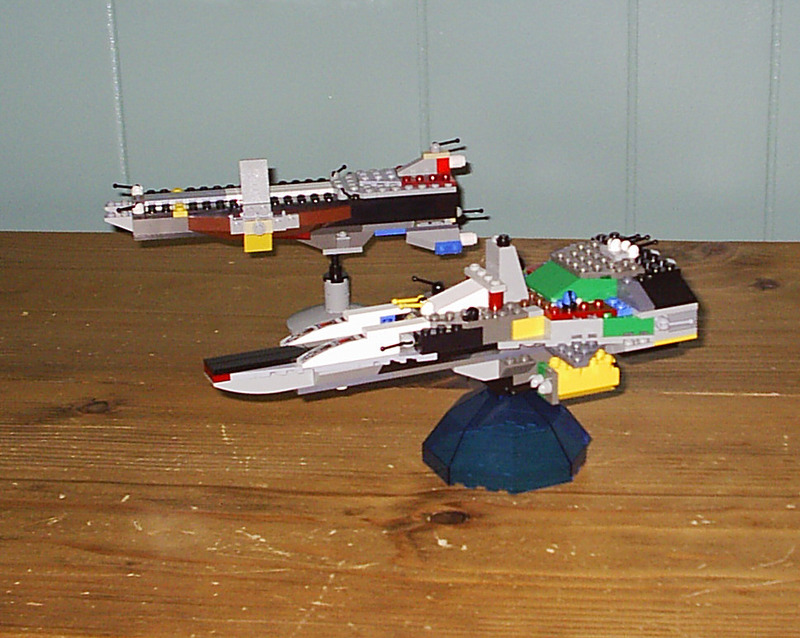 For those who were worried that Wing Commander Privateer's addition to the service might have been cancelled, don't despair. 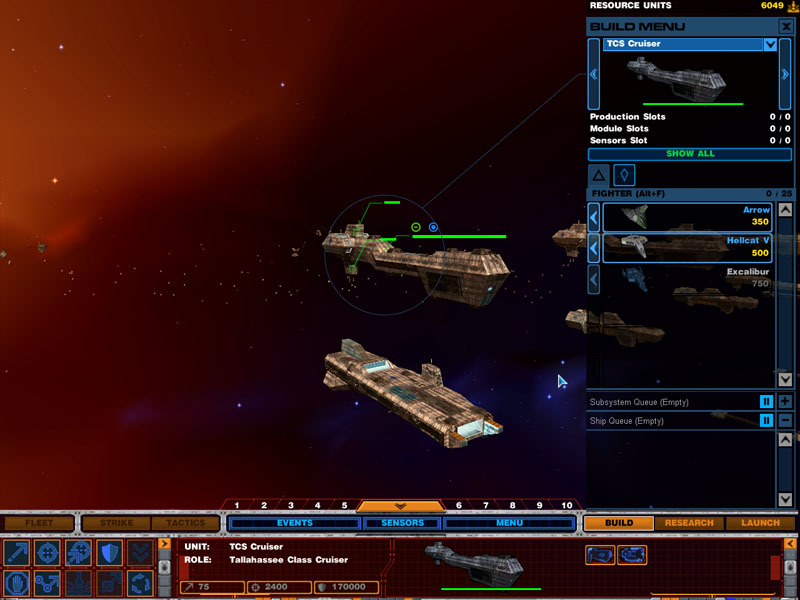 Both Privateer and Red Alert were announced at the same time near the beginning of this year. 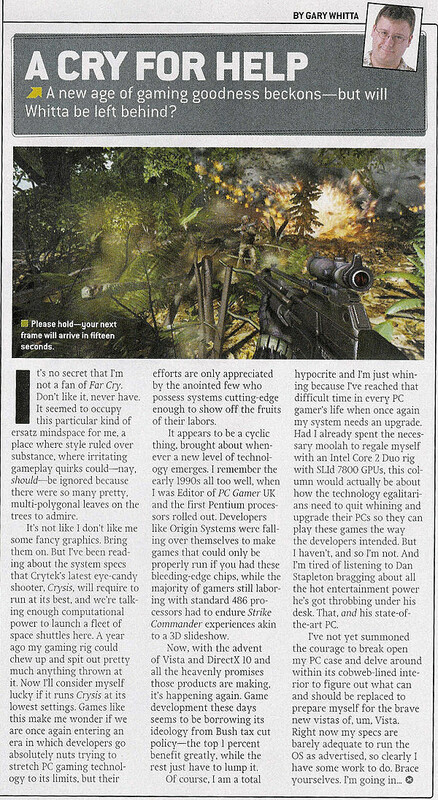 In related news, Gamespot is reporting that multiplayer Myst Uru is being brought back to life via GameTap. The game's dedicated fan base is cited as one of the main reasons that the series is being resurrected. New content will even be added over time, so fans that once thought their favorite series were gone have new reasons to be excited. 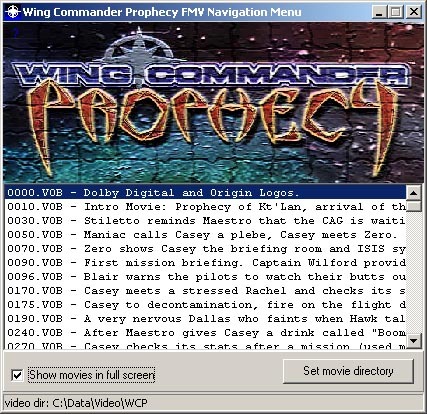 You asked for it -- we are pleased to present the second of three sets of high resolution Wing Commander Prophecy movie files. Download the set here (1 GB). 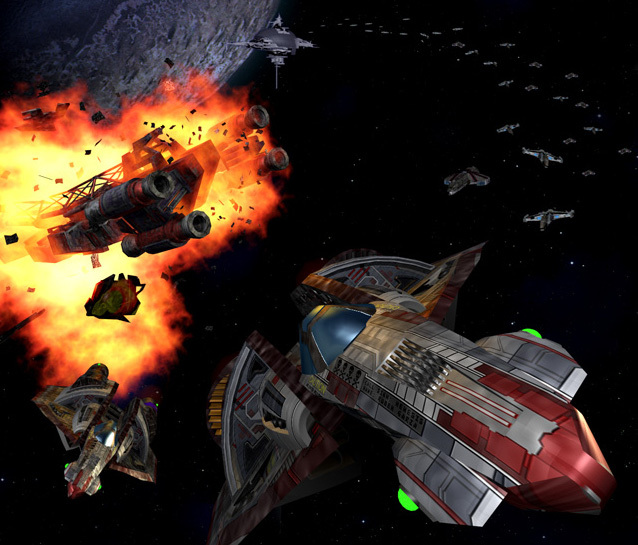 This collection includes Hawk's story arc, the landing on Dula VII and firing the plasma weapon. In all, 46 movies in .VOB format. You can still find the first part here. Stay tuned for the final batch! 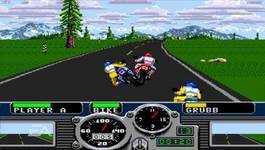 Road Rash - Develope It! 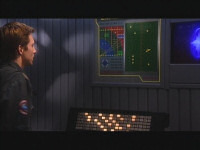 GameSpot has posted two sets of EA Replay screenshots. Unfortunately, none of them are from the Wing Commander elements... instead, they show off Road Rash, Road Rash II and B.O.B. 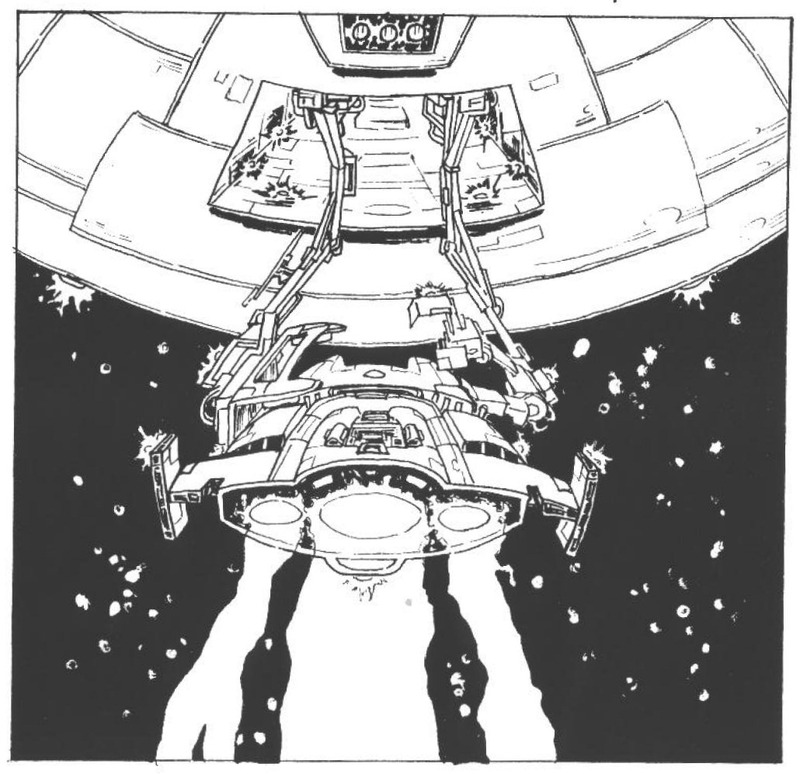 We've put all twenty-six pictures in our in our EA Replay section -- because the one thing you've come to expect from the CIC is pictures of robots and guys named Grubb pushing eachother off of motorbikes. 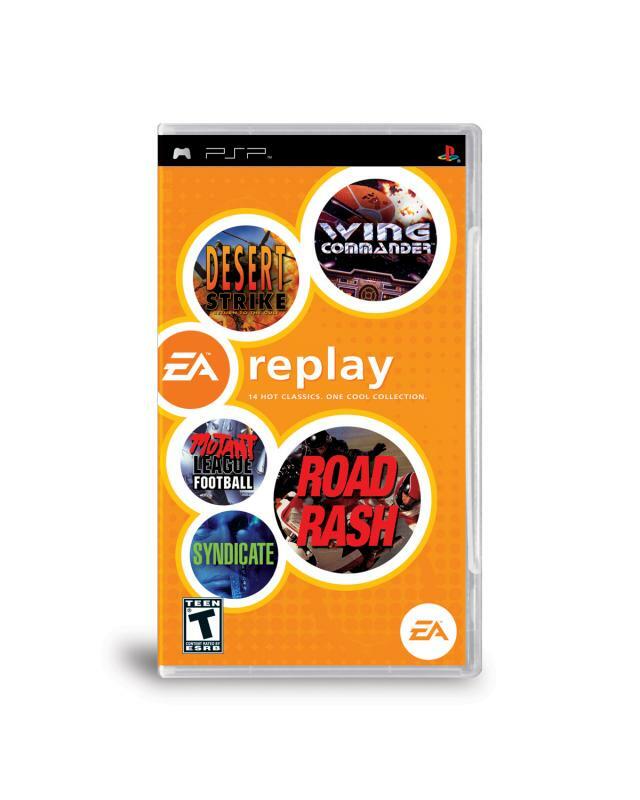 Electronic Arts has confirmed rumors that EA Replay will be released a week earlier than originally planned. The PSP compilation is now scheduled for an October 31st release. 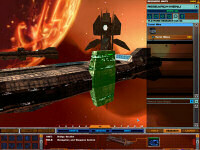 That's spooky good news for Wing Commander fans everywhere! 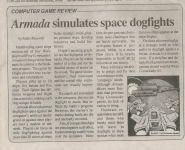 Flight Commander creator eddieb posted something neat to the forums: a 1995-vintage review of Wing Commander Armada that he wrote for his high school newspaper way back then. It's very well done... aside from overestimating the number of Gauntlet Mode missions (there are 15 for each side). That's a reasonable mistake to make, since it was nearly impossible to play through the entire campaign before the 'password' patch was released. There's a neat drawing, too! 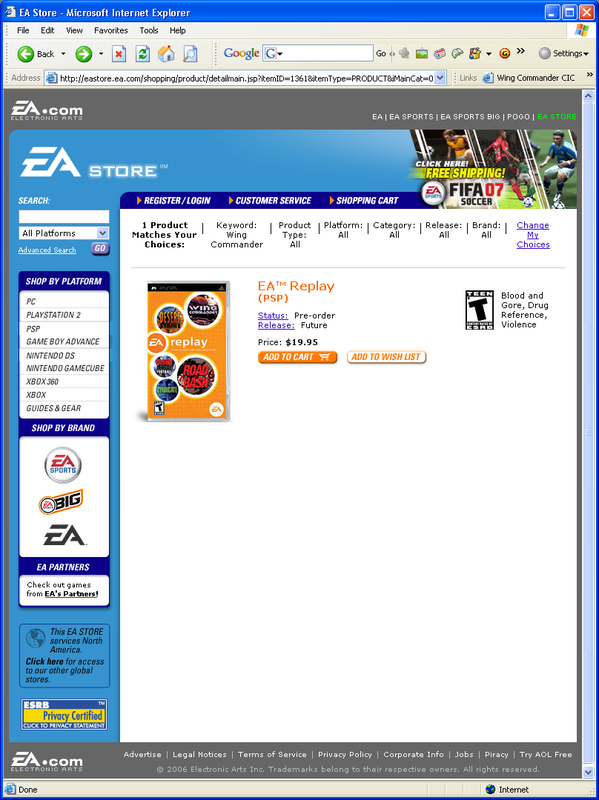 EA Replay has appeared in the EA Online Store. You can preorder the game now or add it to your virtual wish list. 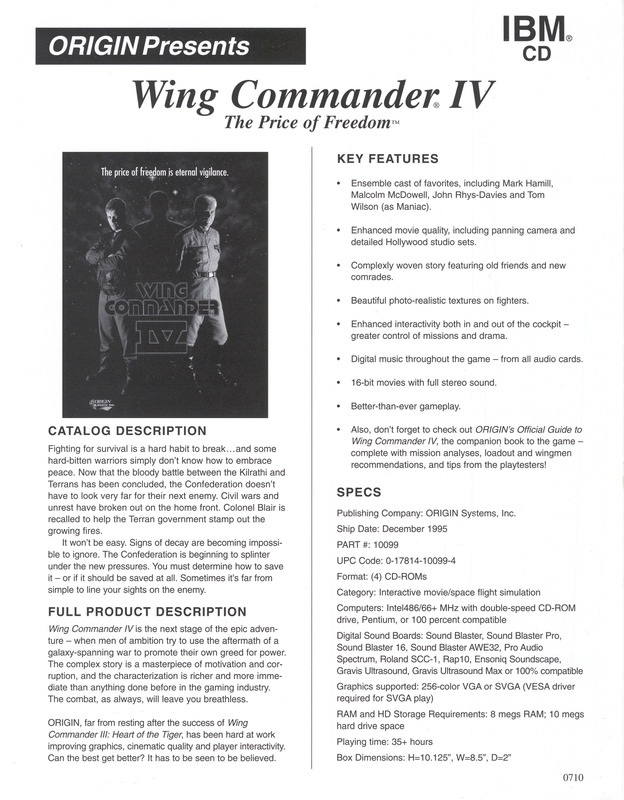 Although promotional text is currently absent, a product search for "Wing Commander" delivers the correct item. Occasionally new games sold from the EA Store are eligible for things like free shipping, but no special offers have been announced yet. The shipping date field is also ambiguous, so the possibility still exists that the game is moving up to October 31. 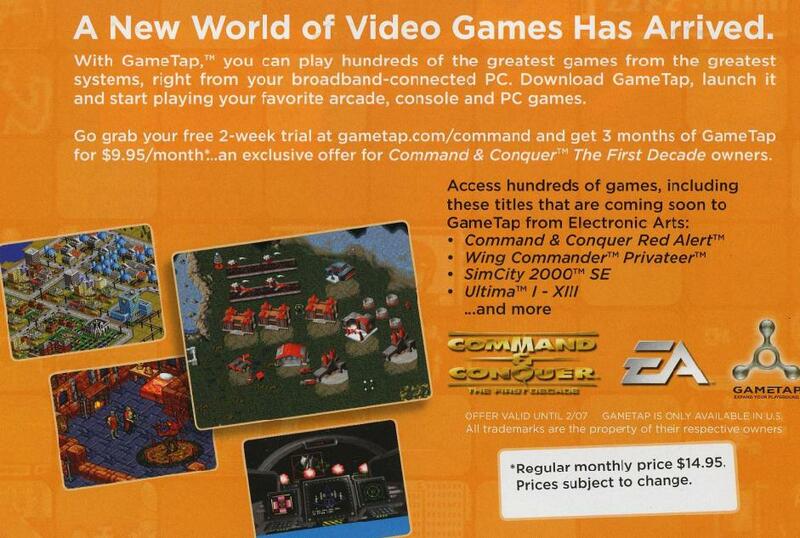 Either way, November will be a fantastic month for Wing Commander fans. It's getting closer. Yay! 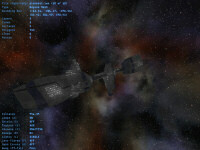 Yesterday we moved the main site and the CIC Forums to a new webserver. You may have had to log into your Forums account again, but we think it all went smoothly. The various hosted websites have been running from the new server for the past week without issue, and we felt it safe to transfer the rest of our network. Be sure to let us know if there's something we overlooked. We have doubled almost every hardware spec with this server move, and we have much more bandwidth available. Now we're prepared for anything. 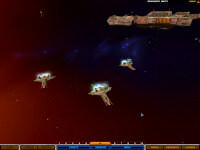 It's been a little while since the last Gemini Gold update, so John Cordell sent this little reminder about the game. Although the team is still held up for engine rework, the next version of the fan project is coming along well. 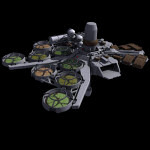 This is a sample of their improved refinery base graphic. A very pretty Centurion is also cruising nearby. 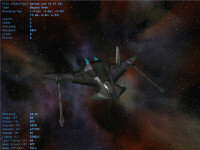 The image is just a quick test-rendering too. 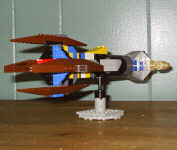 John had wanted to put together something larger, but this was all he had a chance to assemble now. It all still looks pretty sharp to me. 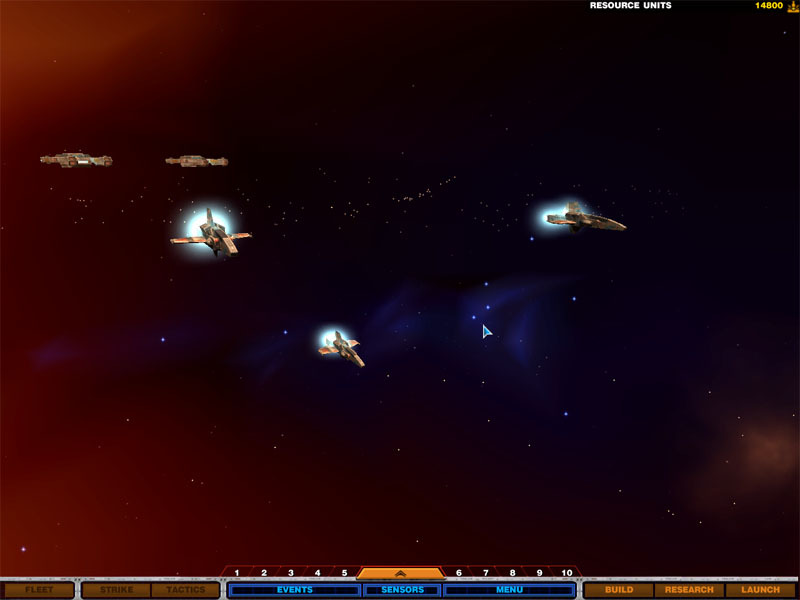 DarkStar One is one of the more popular space sims released lately, and positive reviews for it are still showing up all over. 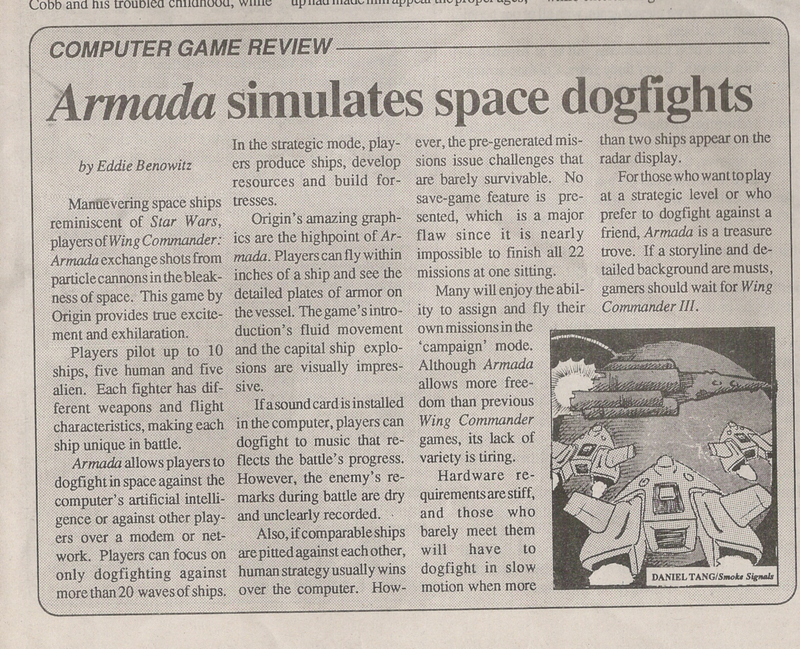 Quite a few articles compare it to Wing Commander or Privateer, including the piece at Game Industry News. The author of this review specifically singles out the similarities between Darkstar and Privateer 2, which he considers one of the best games of all time. 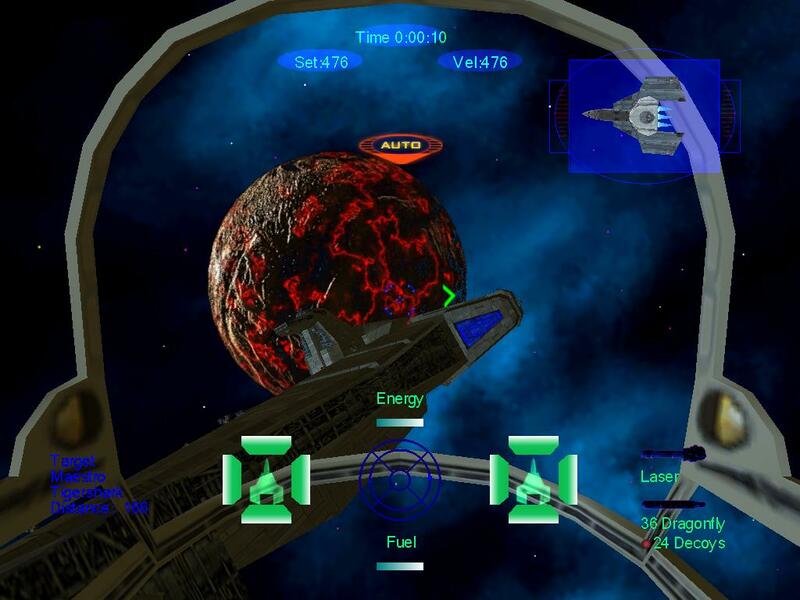 If you haven't heard a lot about this game, check out the lengthy article here. Priv 2 fanatics can also check out our Birthday deluge for the game here. 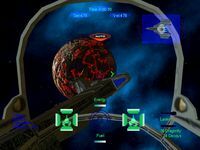 The first game that I can remember that fit this bill was Starflight, one of the first titles published by then newcomer Electronic Arts. I still have the game and the original packaging, complete with pictures of the developers in spacesuits inside some type of lunar landing craft (I think that’s what it is). In a more modern sense, the father of this genre would be the Privateer series, which really peaked with Privateer II, one of the best games of all time. 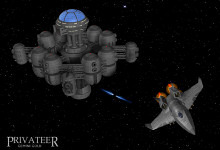 It was like the much loved Wing Commander games, but instead of flying mission after mission in a linear fashion, you were turned out into the world to make your own path. 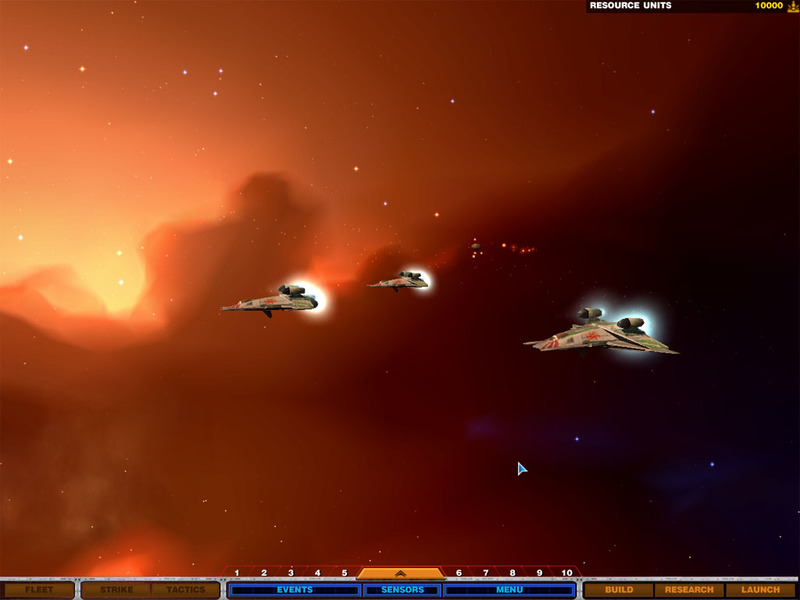 A few years ago Microsoft released Freelancer to follow this trend. 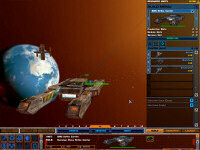 Freelancer was a great game, but was lacking in a few areas and never quite lived up to Privateer II. 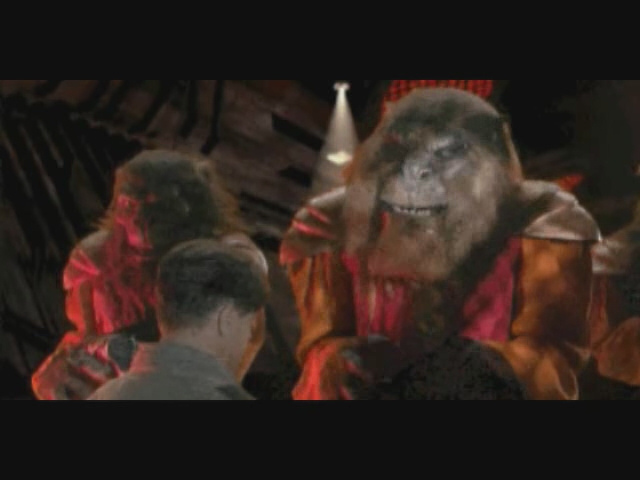 HBO's October Wing Commander schedule is now online. The fun starts this Wednesday and continues through 10/22. Instead of HBO HD and HBO Latino, the broadcasts switch to HBO2 and HBO Family this month. There don't appear to be any high definition feeds soon, but that's not unusual. HD showings tend to appear on the schedule for a few weeks each quarter. That'll have to do until we all get Wing Commander on Blu-ray. Episodic gaming is big business these days. 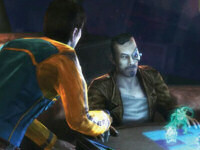 Games like Half Life 2, SiN and Sam & Max are just a few new titles being released as a series of chapters. 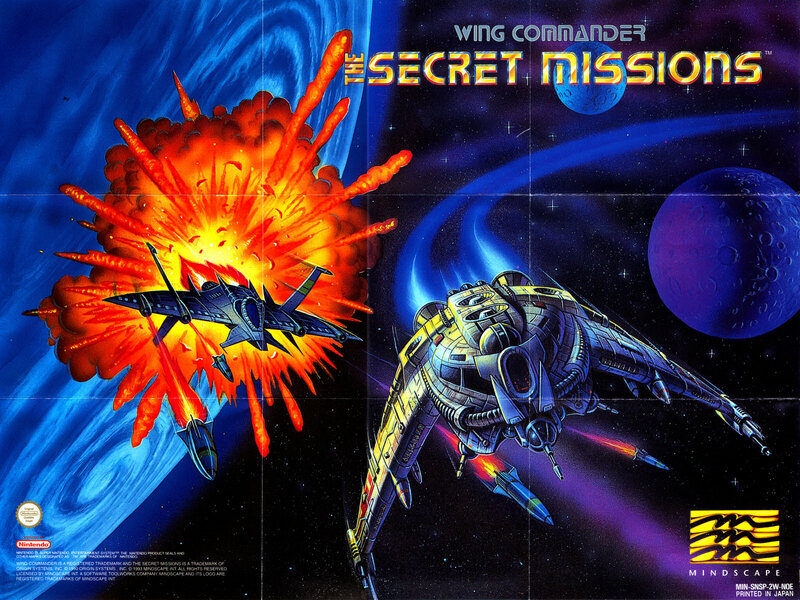 A lot of articles talk about these games like it's a big new thing, but Wing Commander fans know better. Apparently, we're not the only ones! 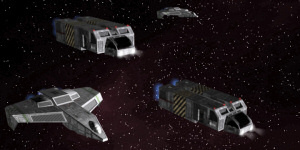 CNN's latest Game Over piece talks about the latest crop of episodic games, and it actually touts Wing Commander Secret Ops as the genre pioneer from 1998. Good job Chris Morris! 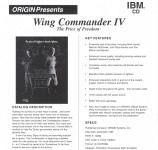 Greg Barwis has kindly donated this super cool sell sheet for Wing Commander IV. 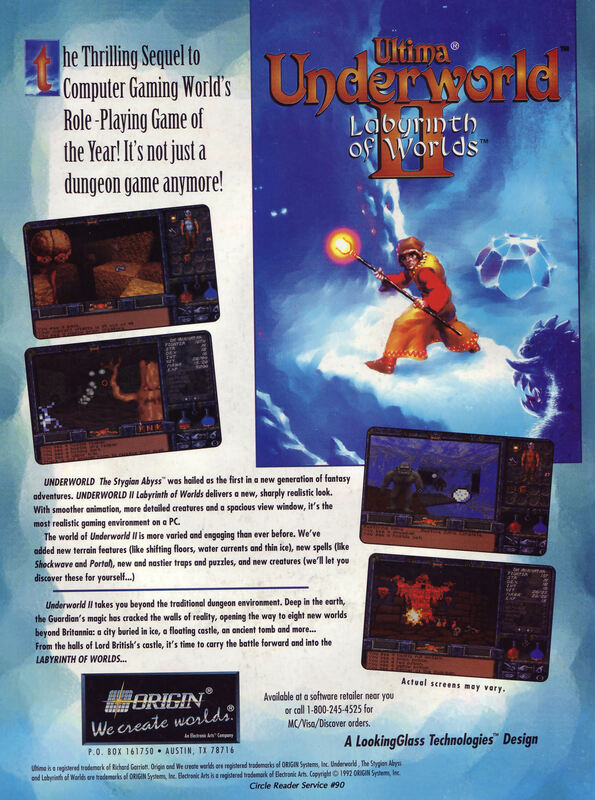 The front side features the game's famous promotional poster art, and the back side has various information that retailers could use to market the game. 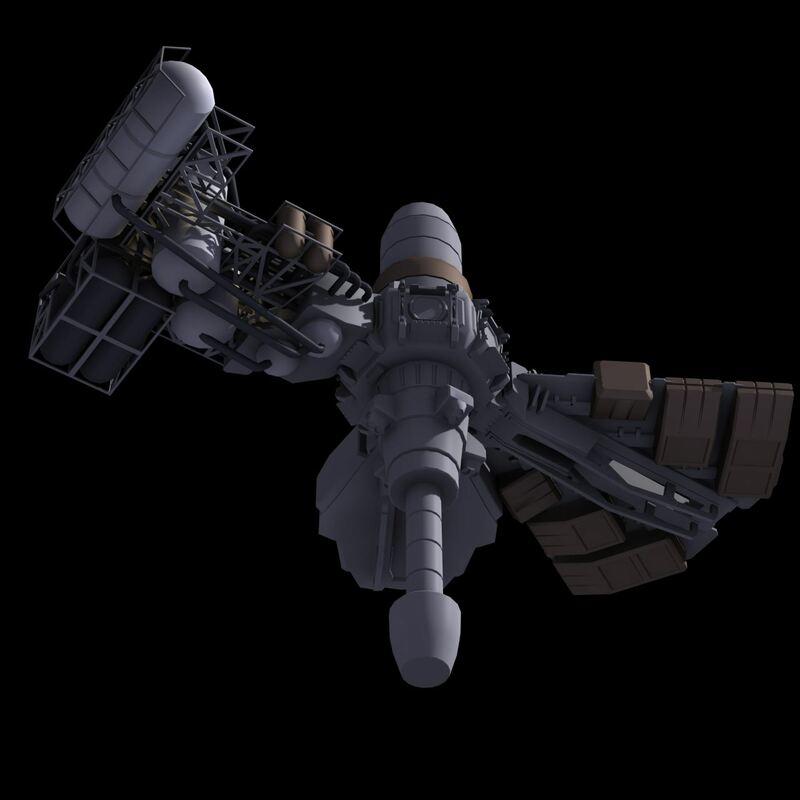 Like many pre-release items for WC4, the expected ship date is listed as December 1995, although the final launch slipped to February at the last minute. 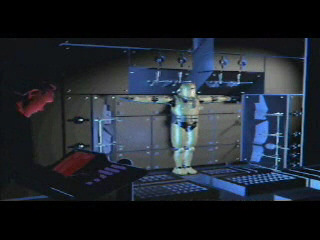 Despite this two month delay, the gold standard of interactive movies was completed in less than 14 months. Check out our ten year anniversary retrospective on The Price of Freedom here. Fighting for survival is a hard habit to break... and some hard-bitten warriors simply don't know how to embrace peace. 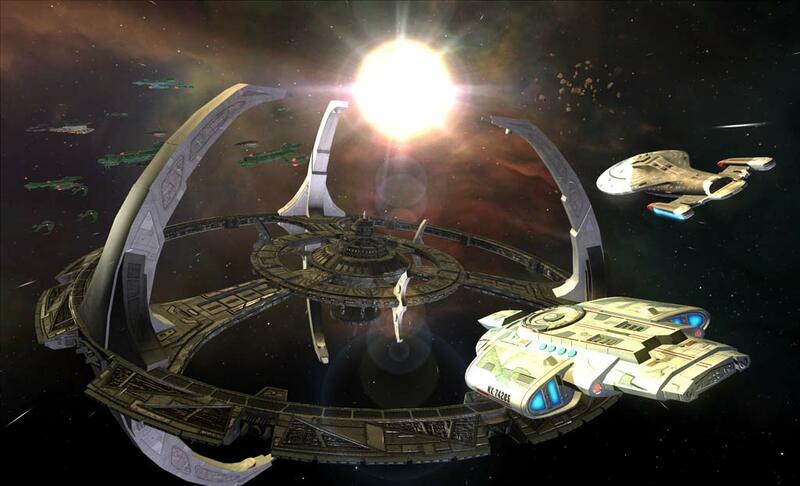 Now that the bloody battle between the Kilrathi and Terrans has been concluded, the Confederation doesn't have to look very far for their next enemy. Civil wars and unrest have broken out on the home front. 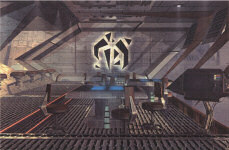 Colonel Blair is recalled to help the Terran government stamp out the growing fires. It won't be easy. Signs of decay are becoming impossible to ignore. The Confederation is beginning to splinter under the new pressures. You must deterine how to save it - or if it should be saved at all. Sometimes it's far from simple to line your sights on the enemy. 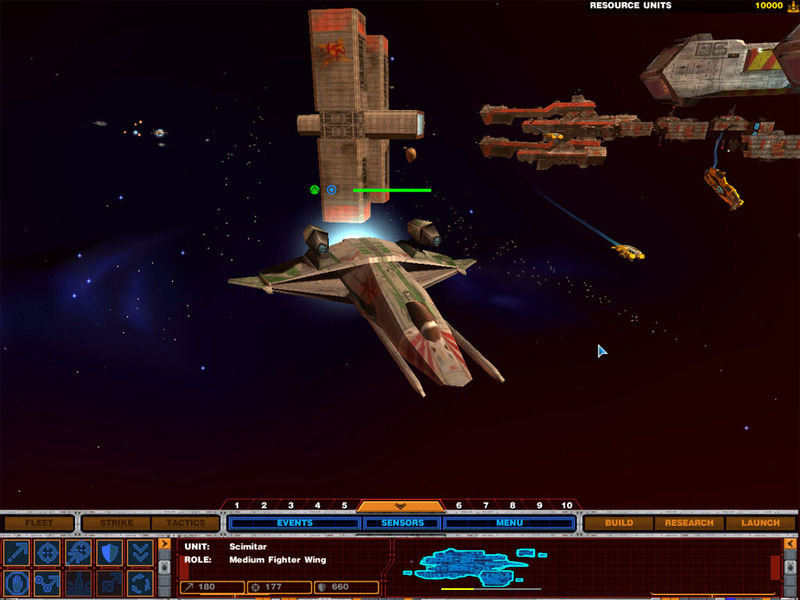 Wing Commander IV is the next stage of the epic adventure - when men of ambition try to use the aftermath of a galaxy-spanning war to promote their own greed for power. The complex story is a masterpiece of motivation and corruption, and the characterization is richer and more immersive than anything done before in the gaming industry. The combat, as always, will leave you breathless. ORIGIN, far from resting after the success of Wing Commander III: Heart of the Tiger, has been hard at work improving graphics, cinematic quality and player interactivity. Can the best get better? It has to be seen to be believed. With just about five weeks left to go, it looks like about a fifth of our poll voters are all set for EA Replay. About half of the people who responded are still weighing their options, and around 10% have decided to just purchase the game without a system to play it on. 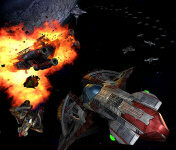 Today we're asking how long it's been since you last played a Wing Commander games. If you have to stop and think about it, maybe it's been too long. 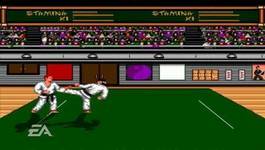 Head on over to our Tech Support section (currently covers DOS WC games) and fire up a classic today!